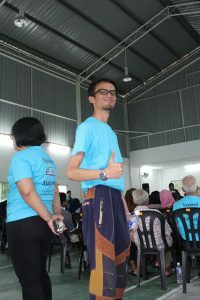 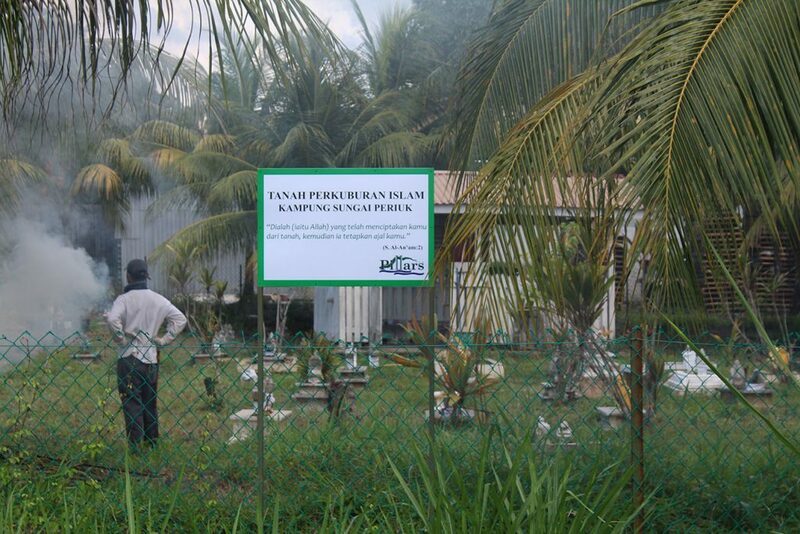 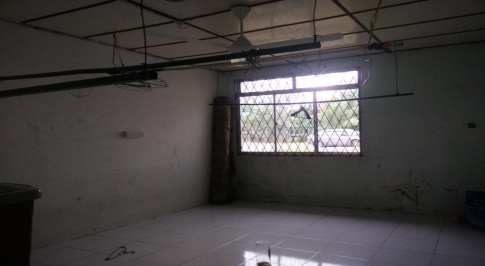 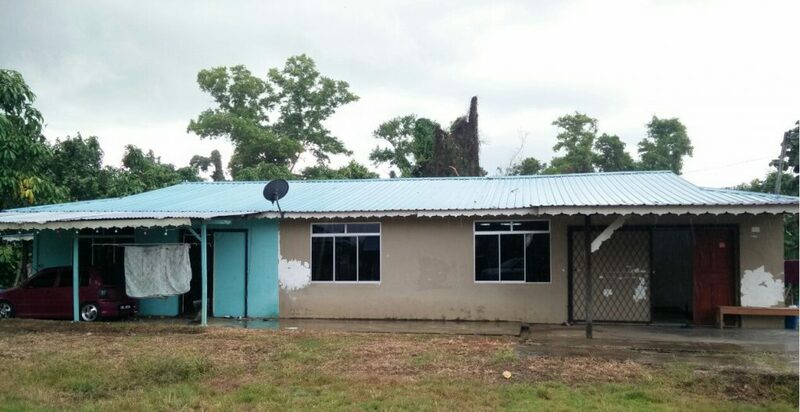 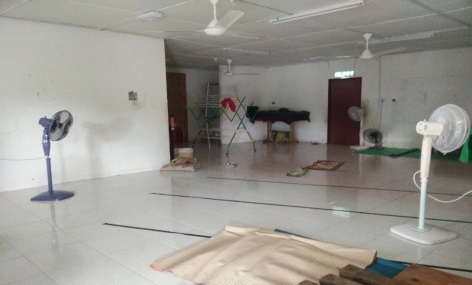 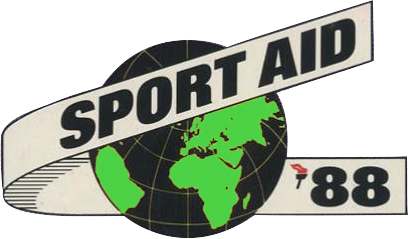 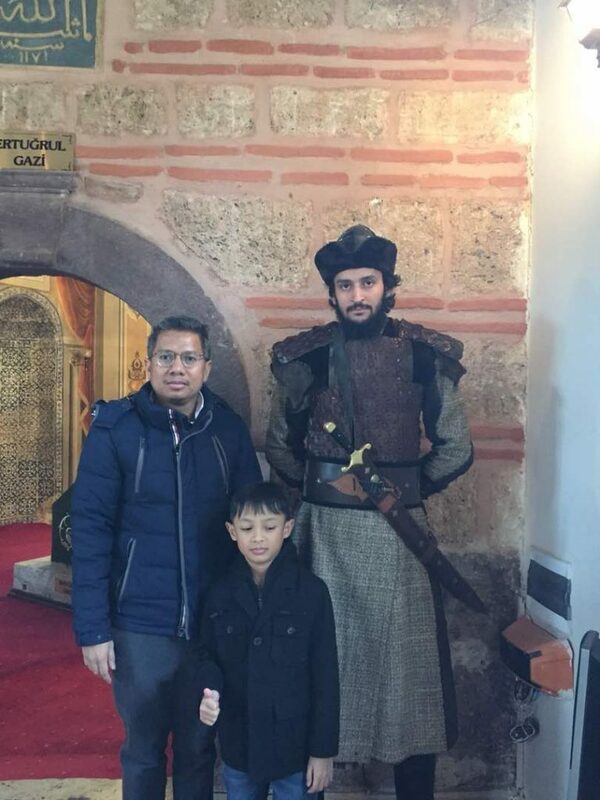 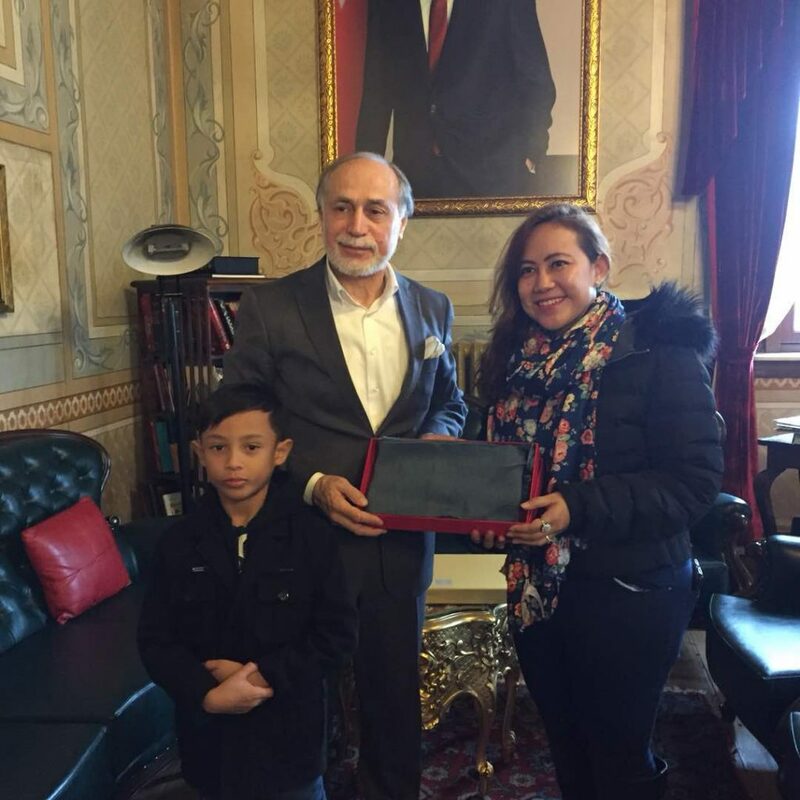 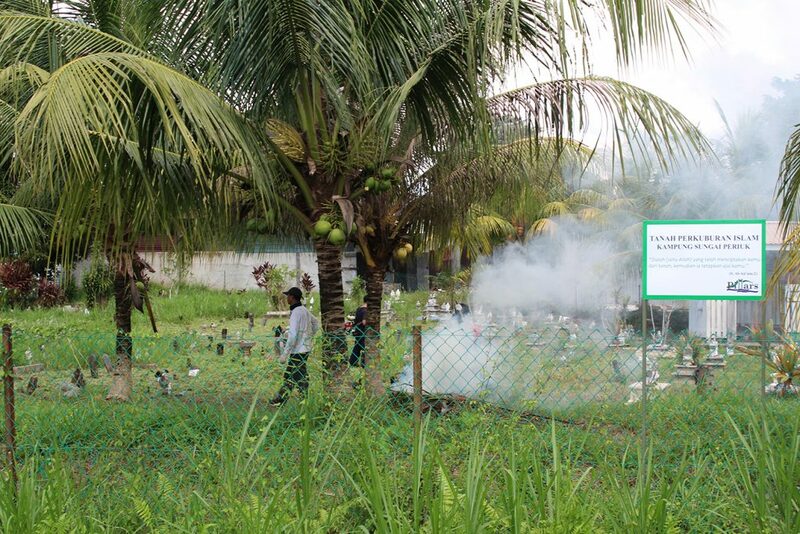 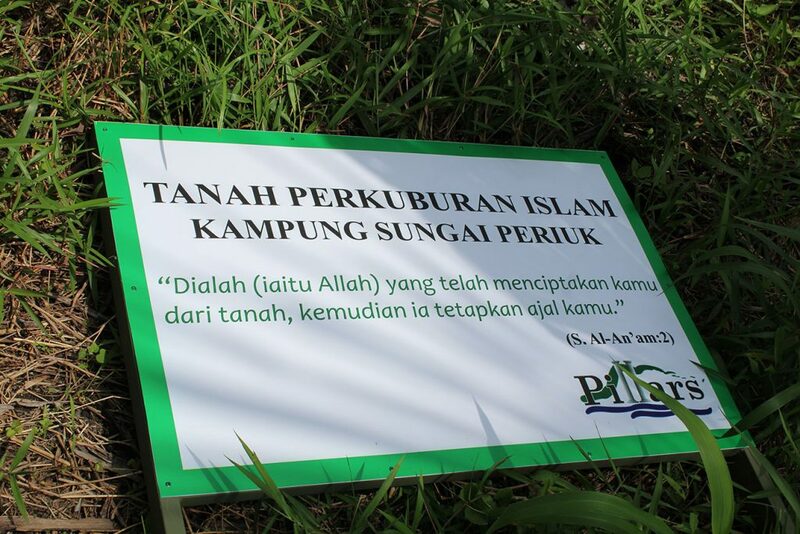 Views all The Pillar Malaysia Activities throughout years. 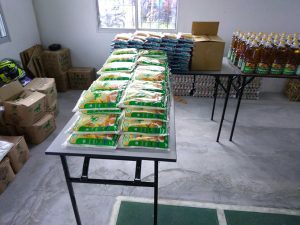 Food wastage has long been an issue worldwide, while at the same time some part of the world are plagued by poverty. 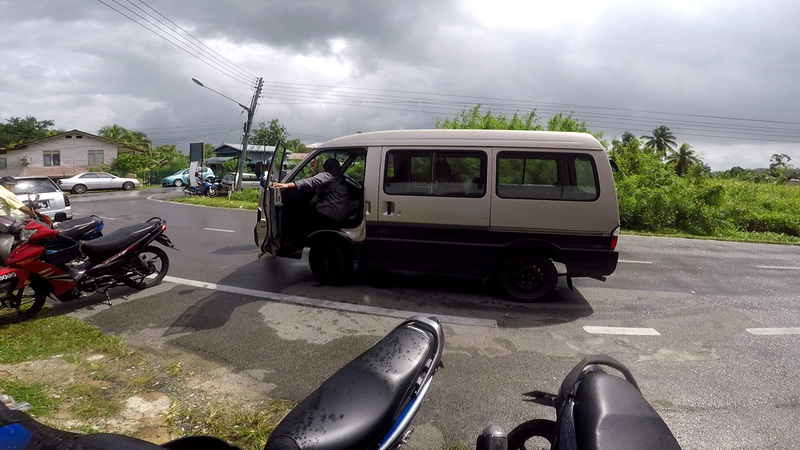 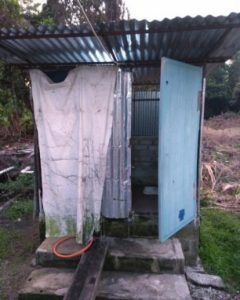 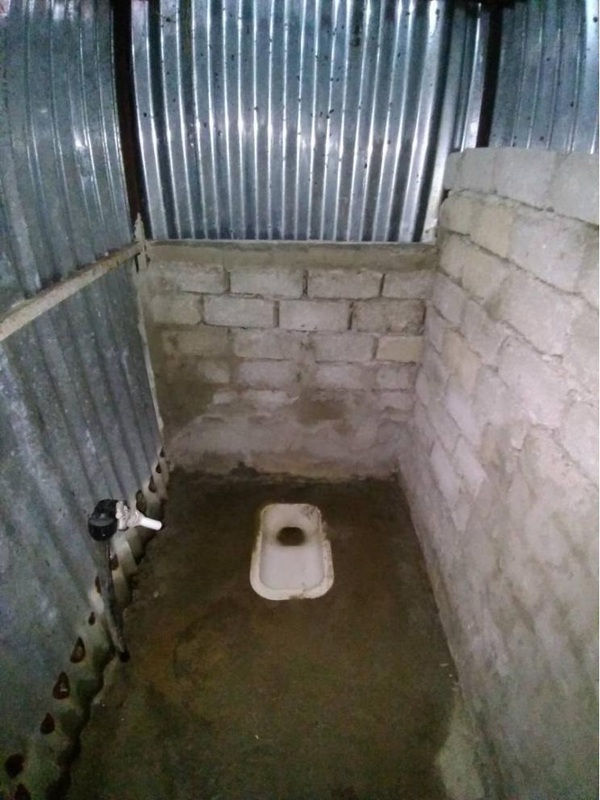 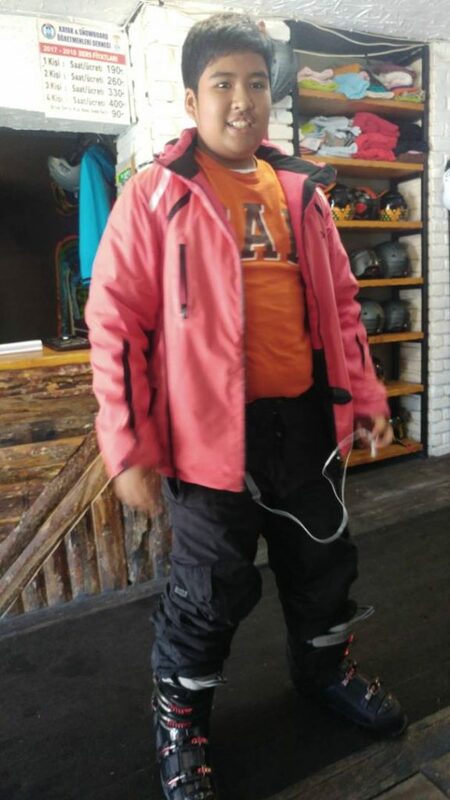 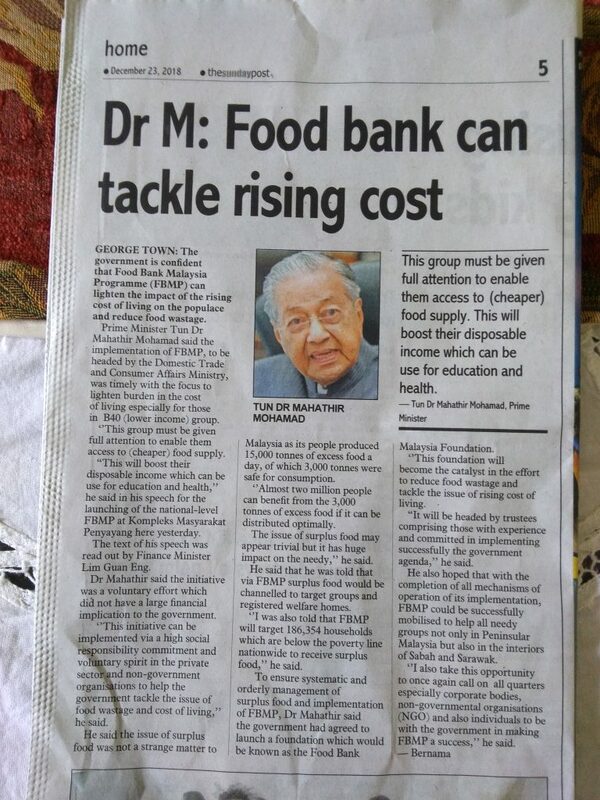 Even in developed country there still exist certain group of people who are poor and less capable. 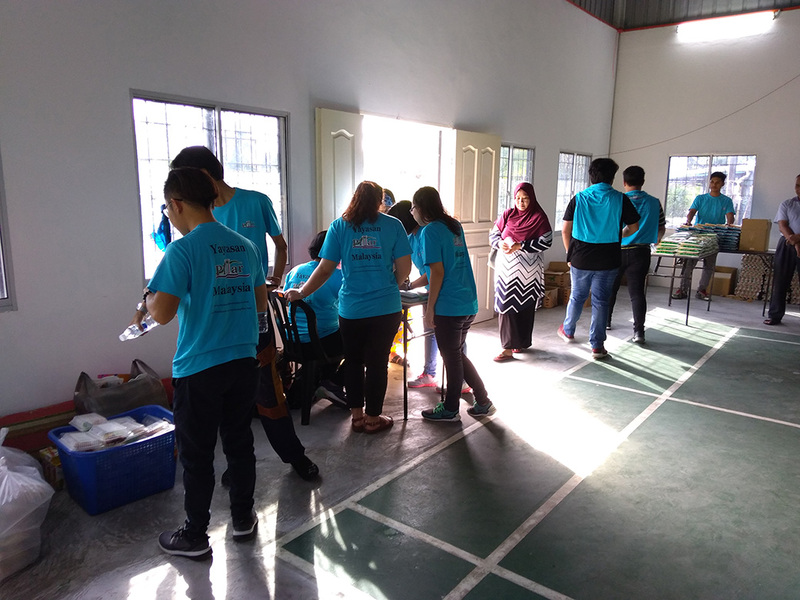 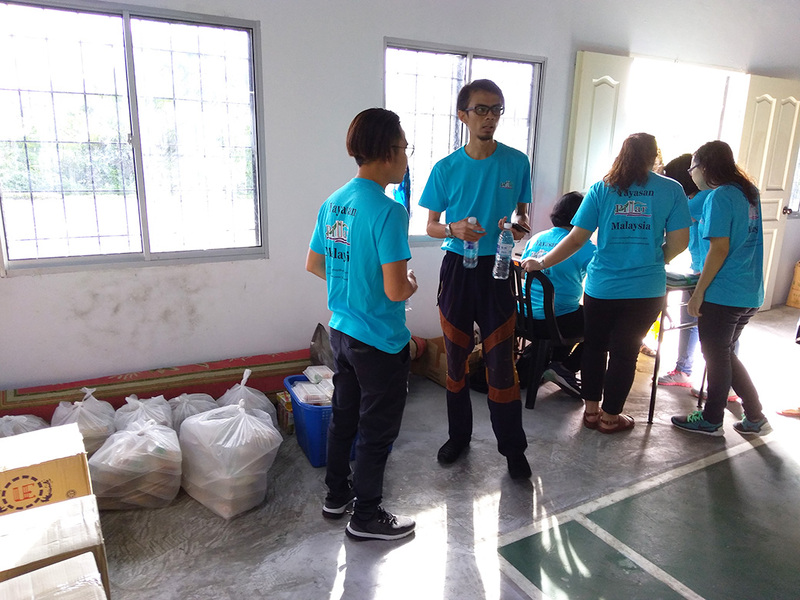 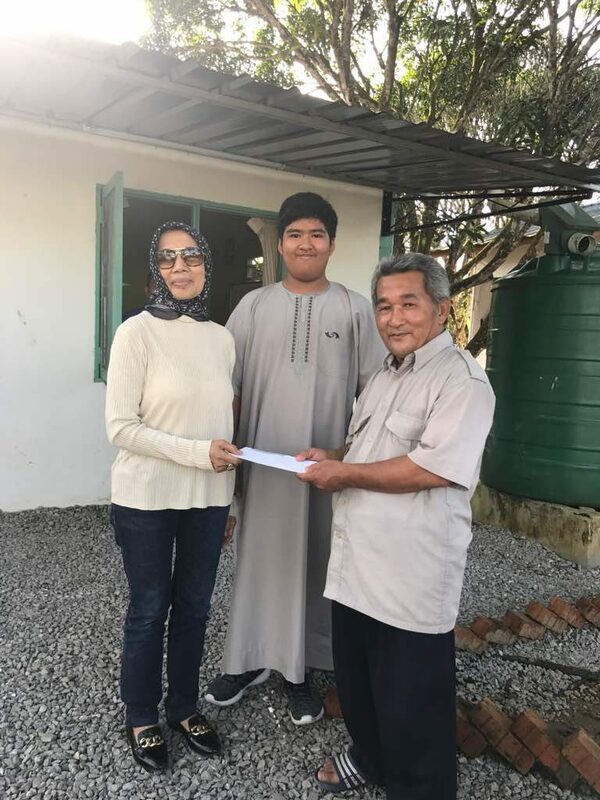 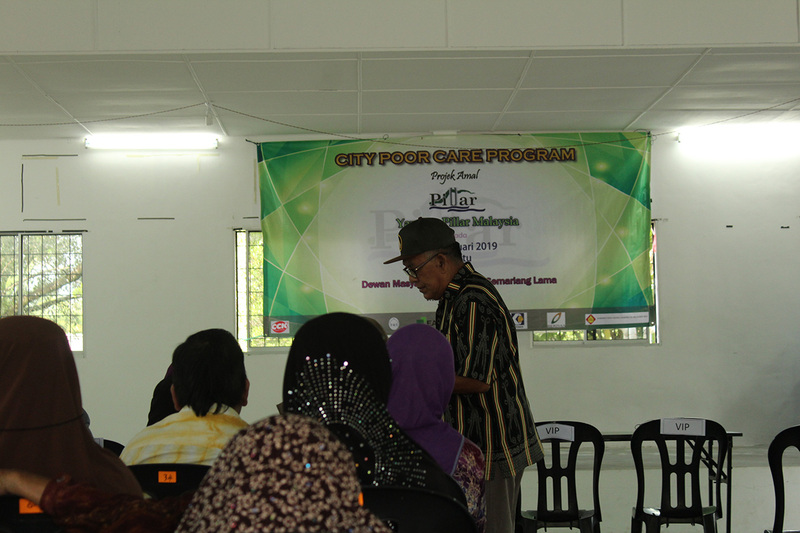 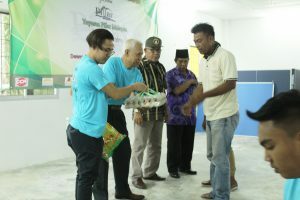 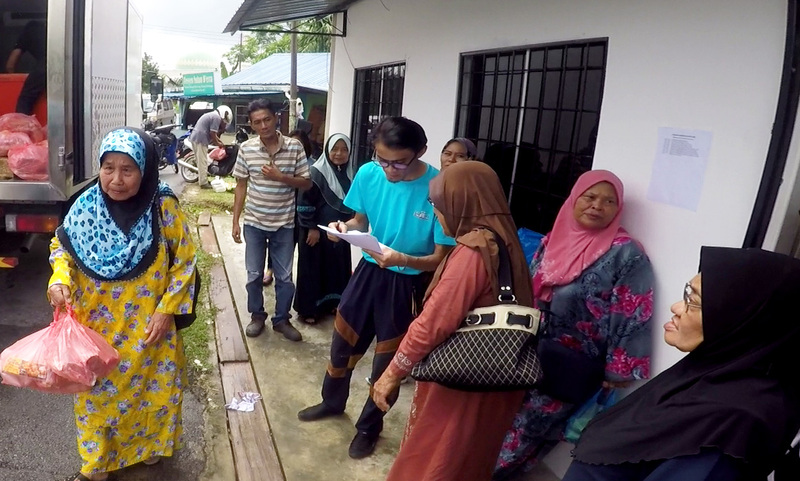 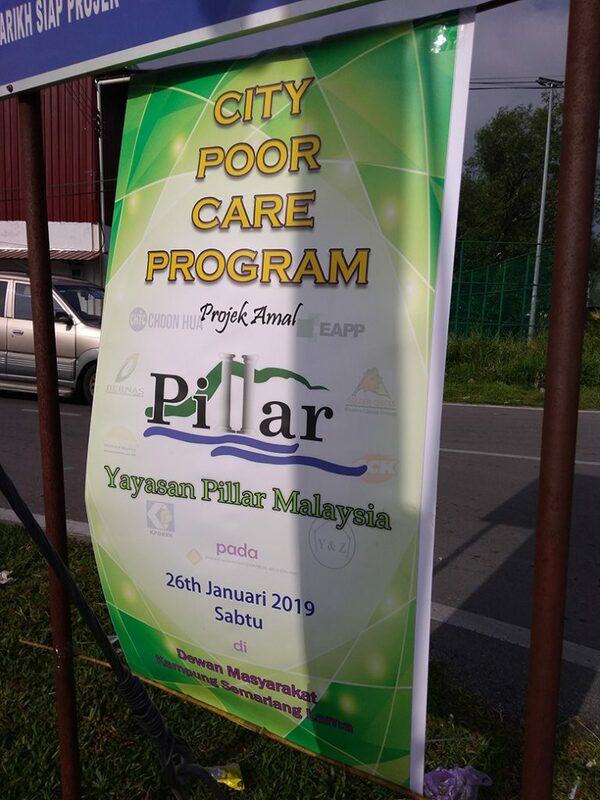 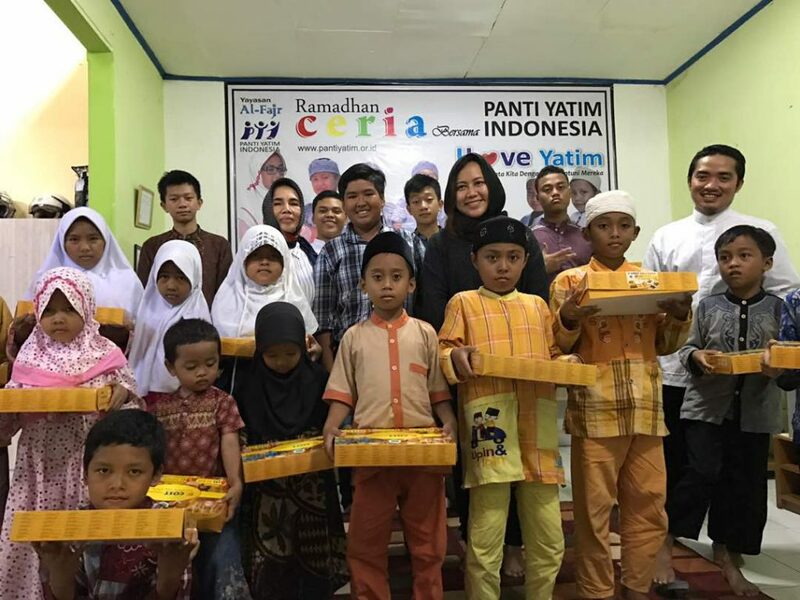 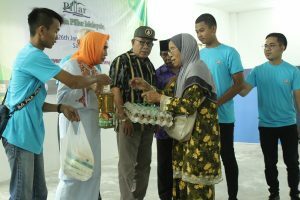 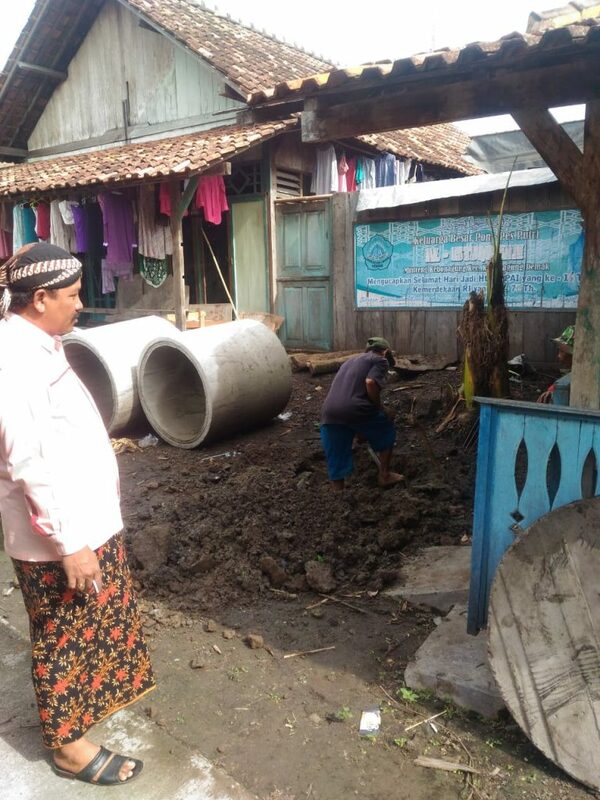 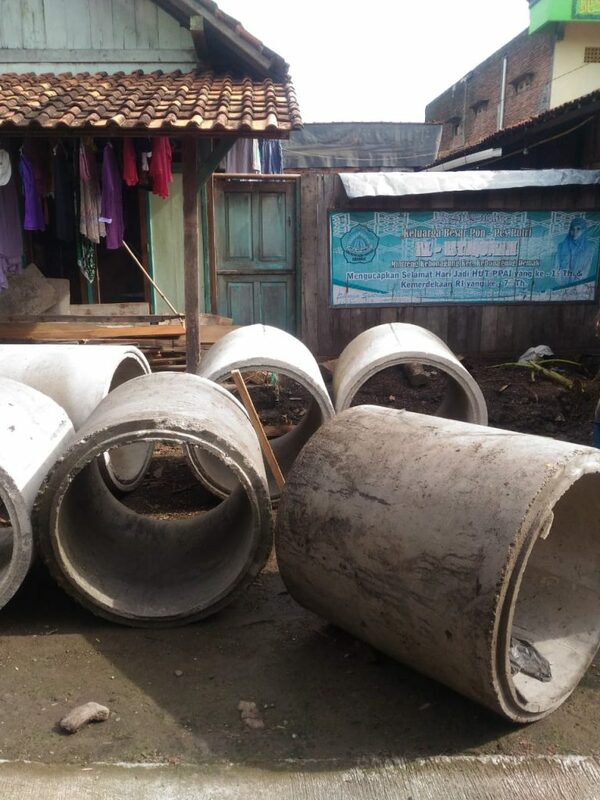 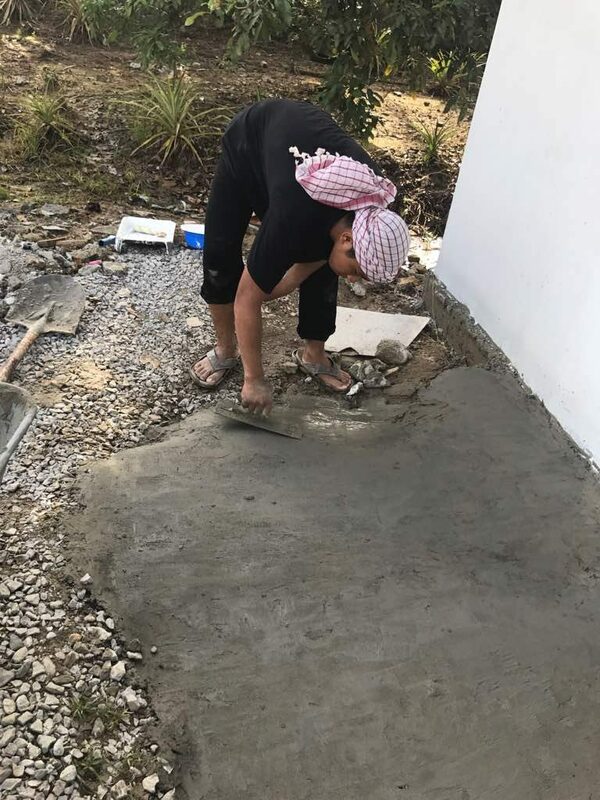 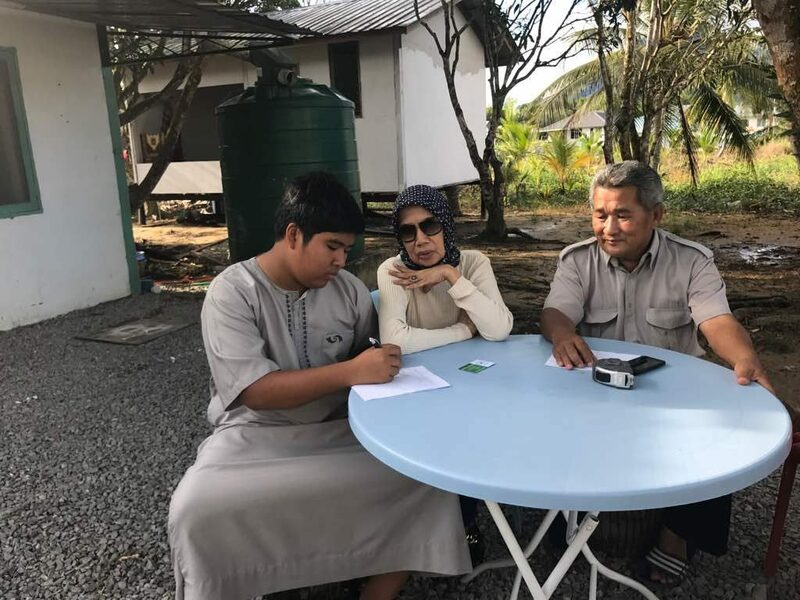 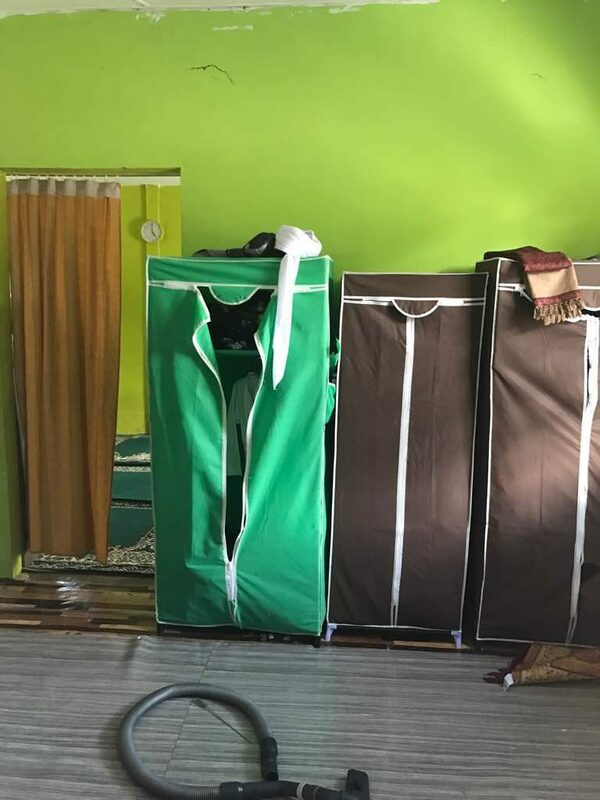 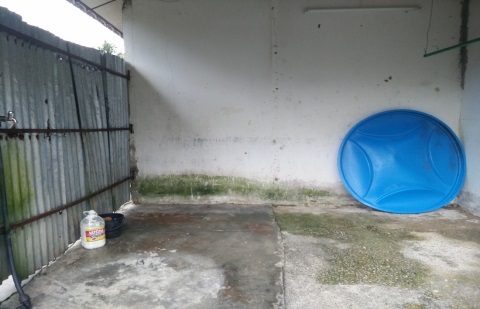 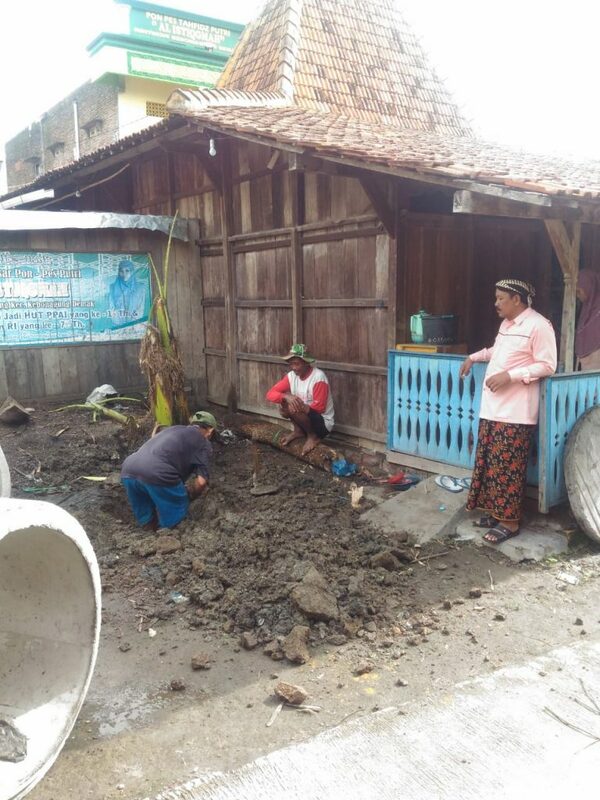 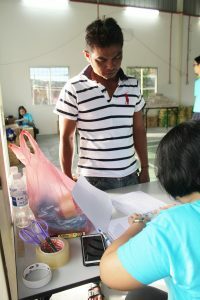 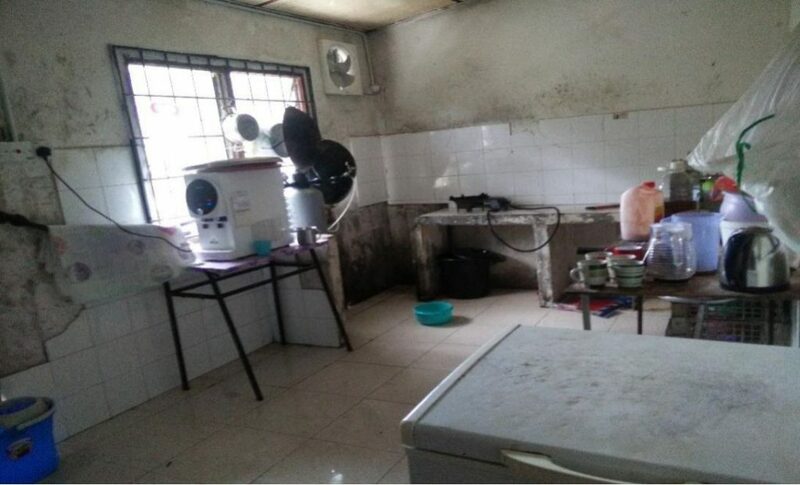 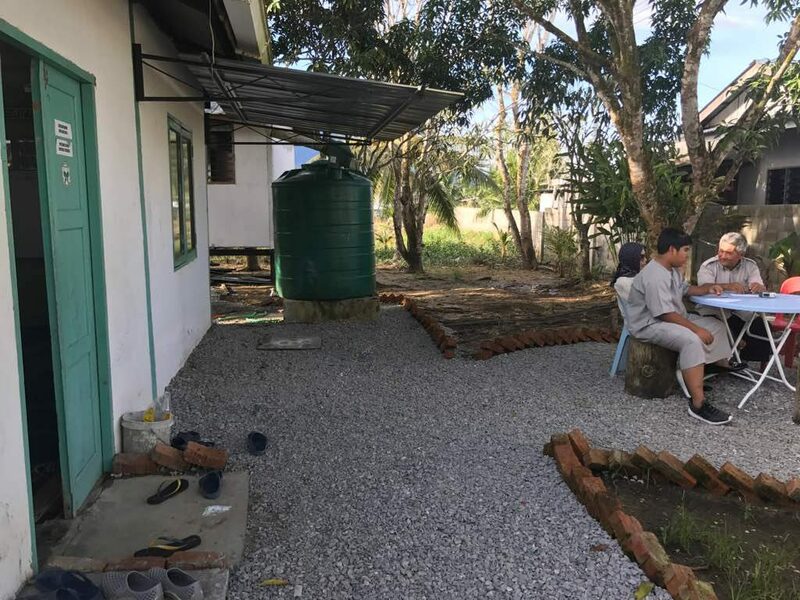 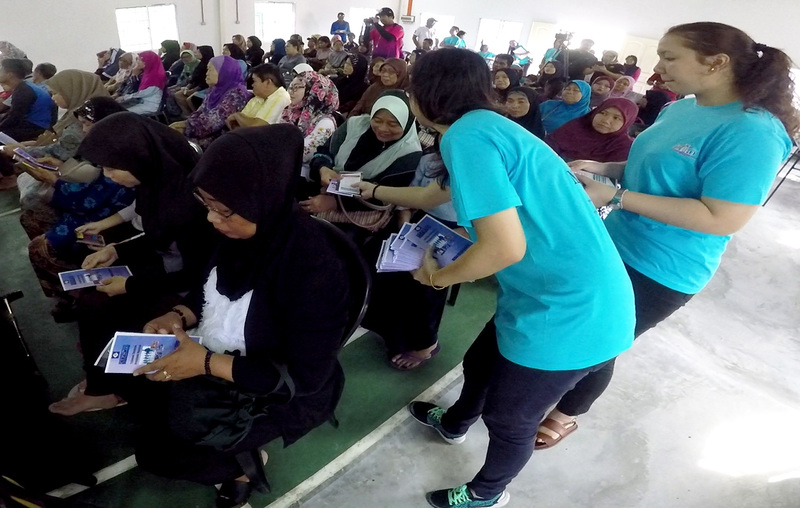 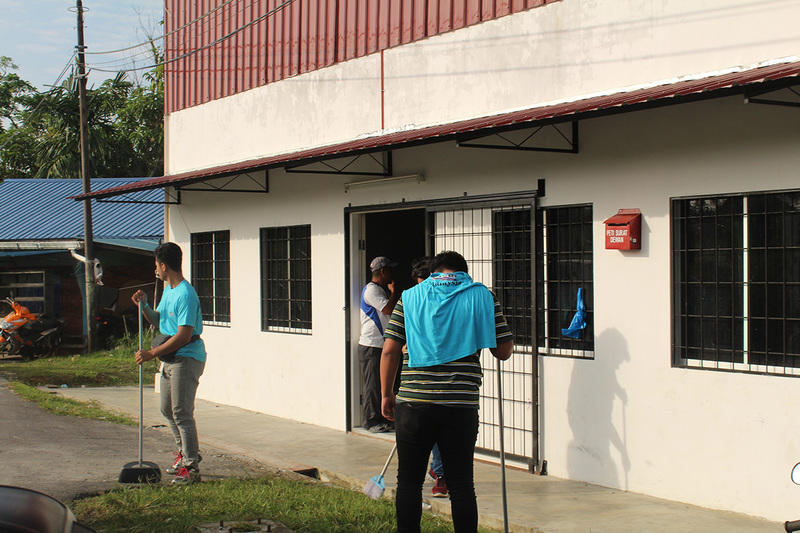 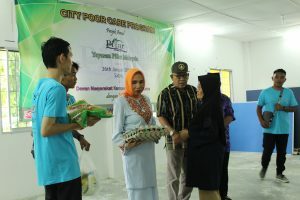 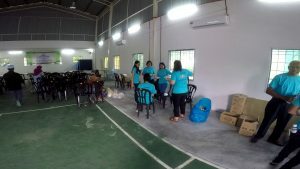 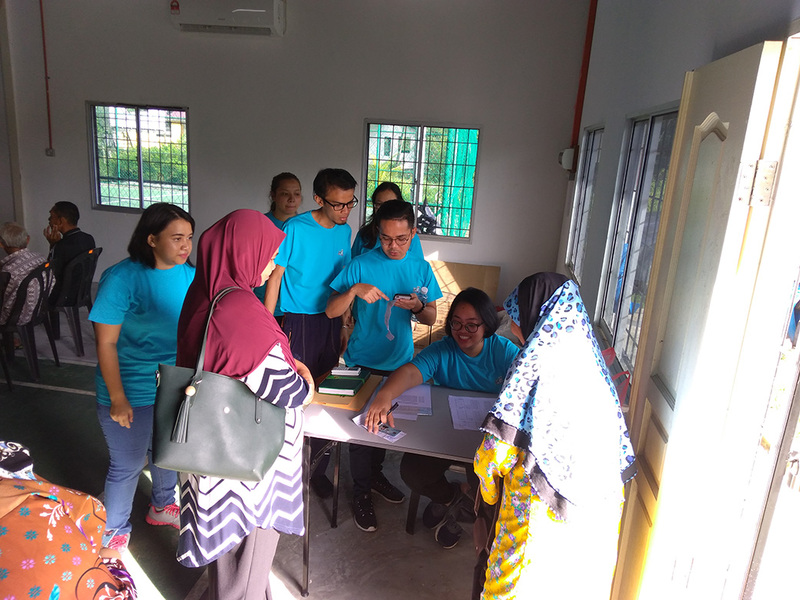 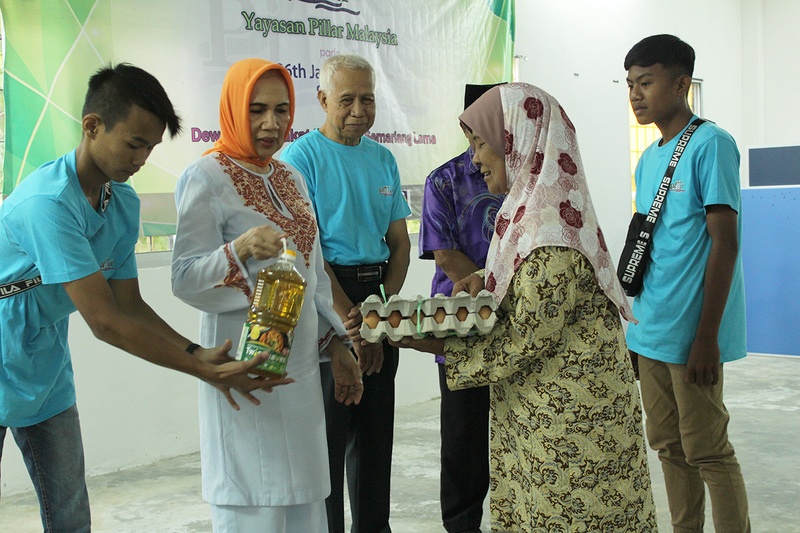 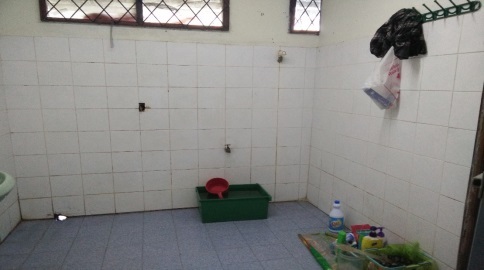 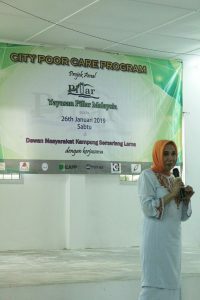 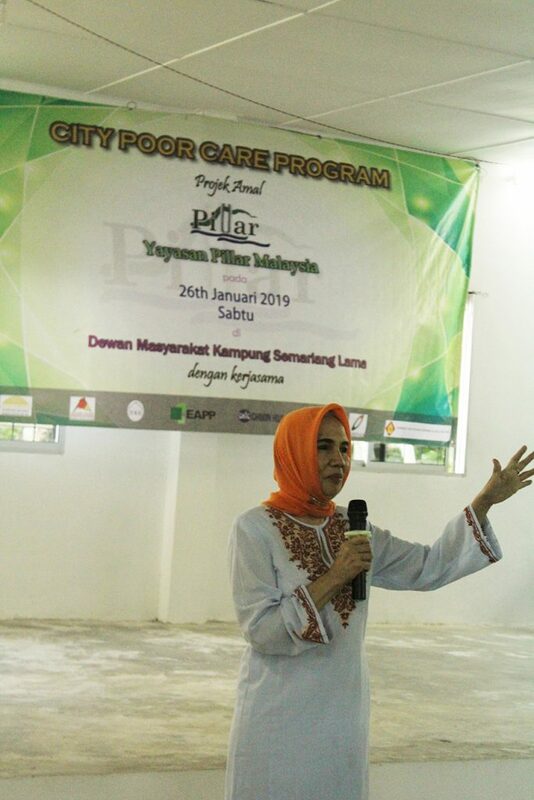 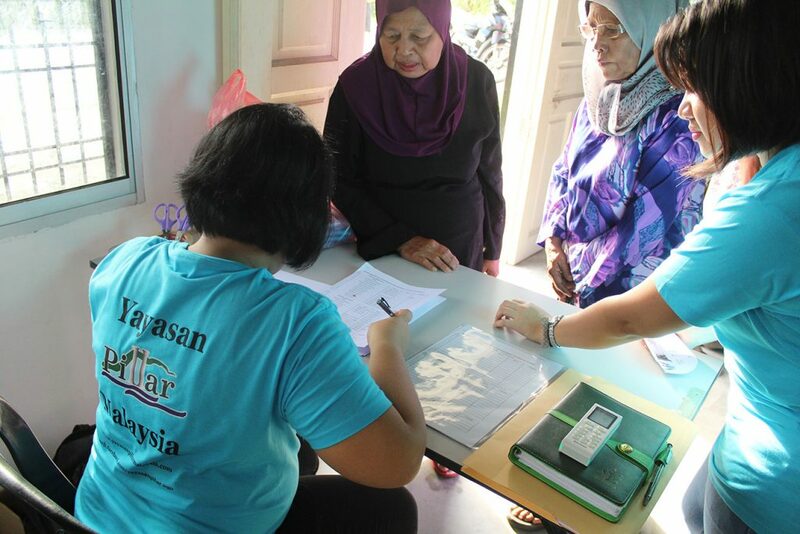 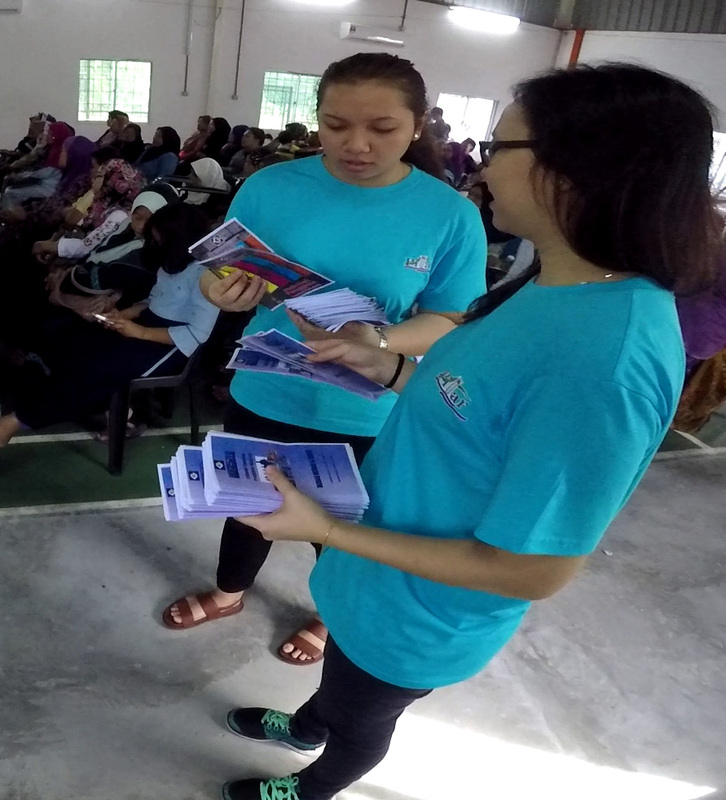 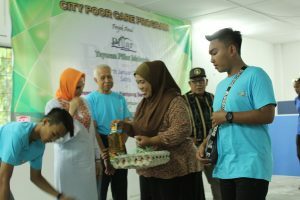 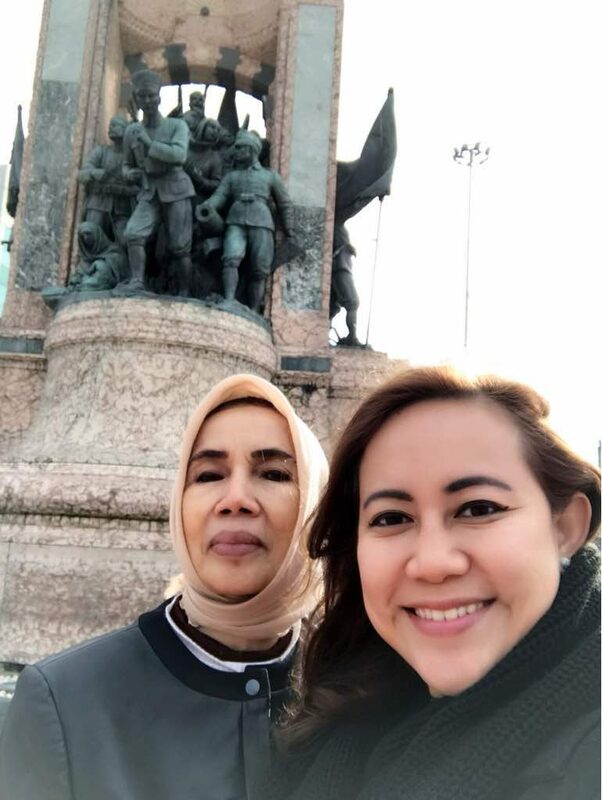 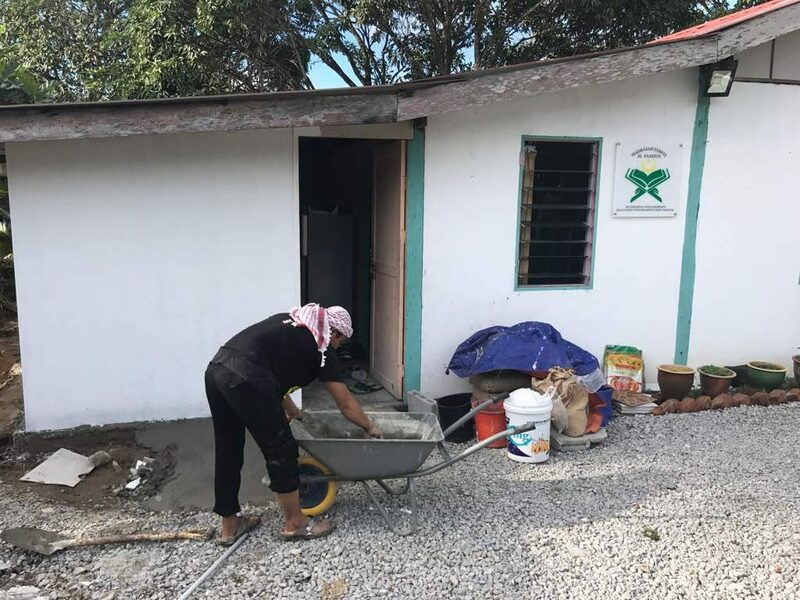 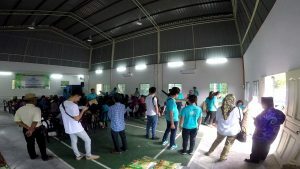 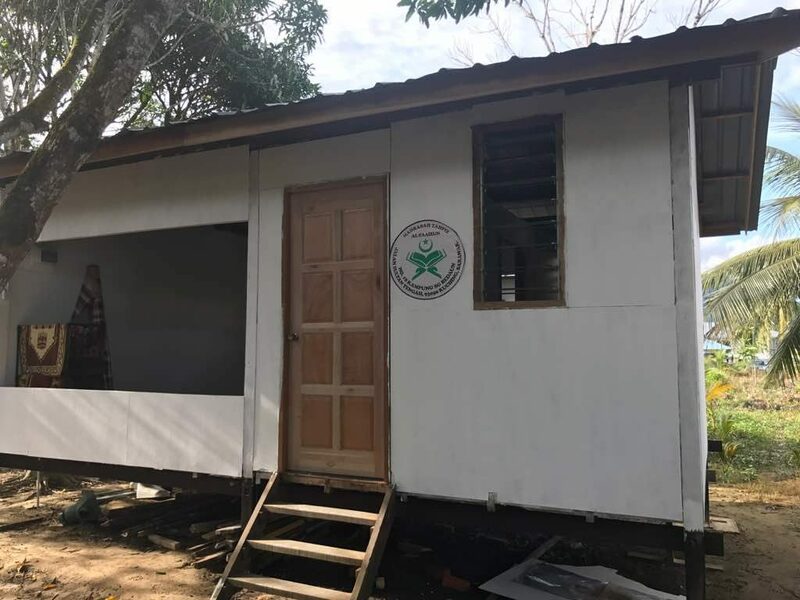 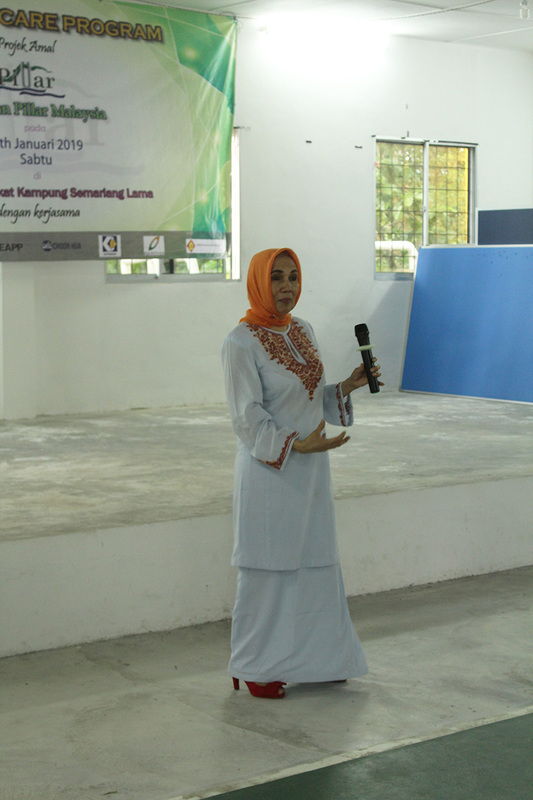 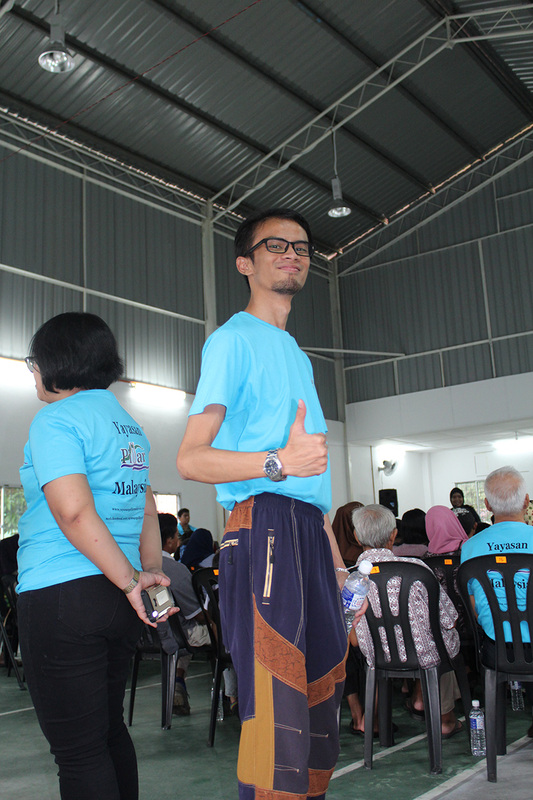 With this issue going on, Yayasan Pillar decided to start the year 2019 with its effort to relieve the burden faced by the core poor families in the town: The City Poor Care Program. 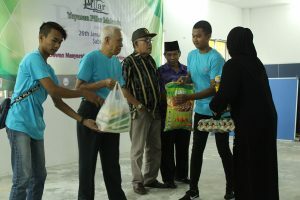 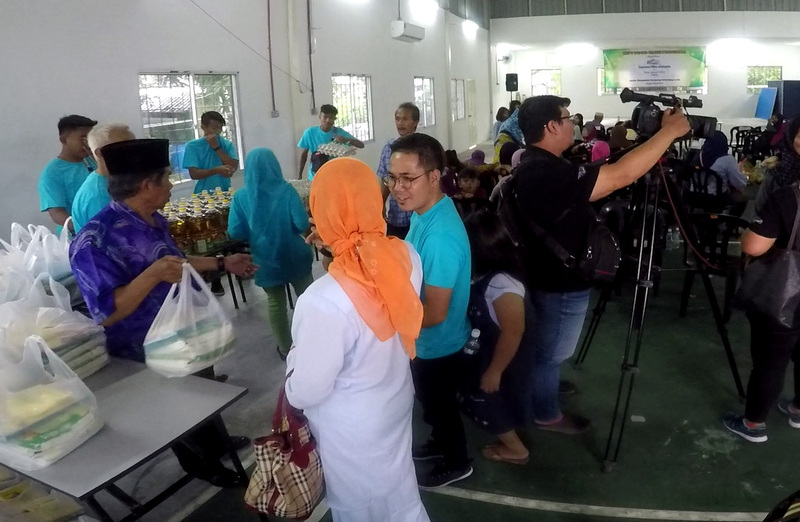 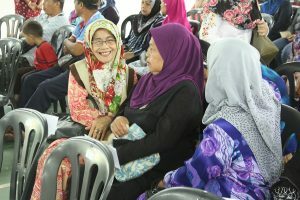 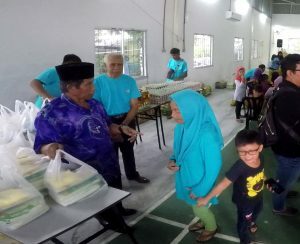 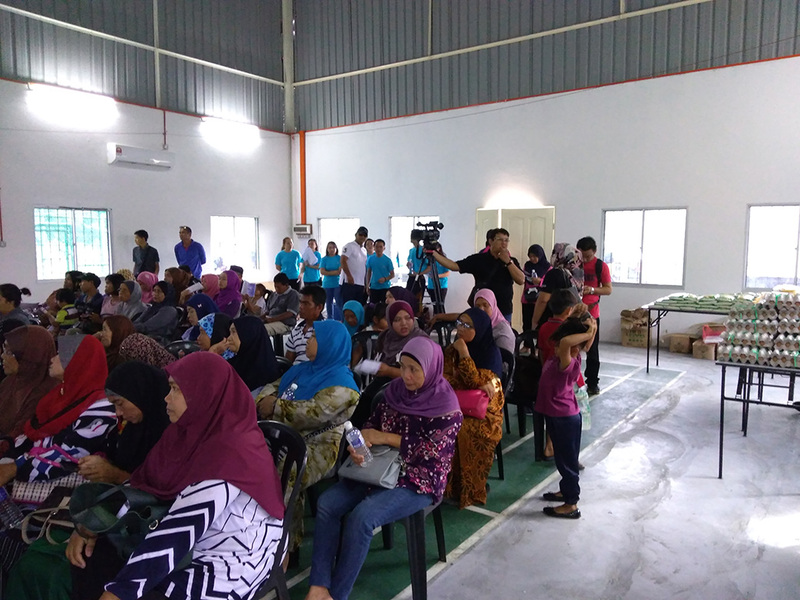 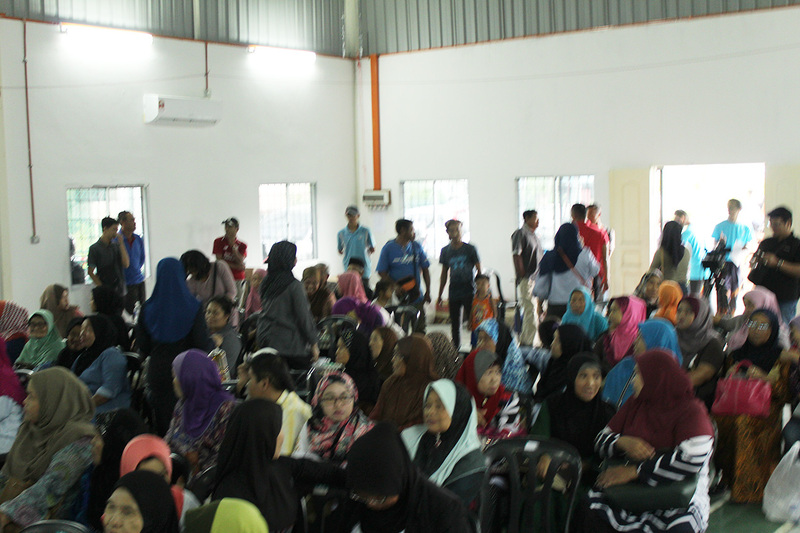 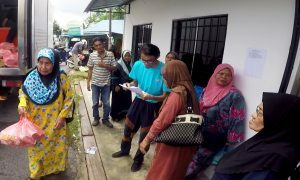 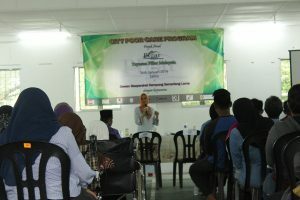 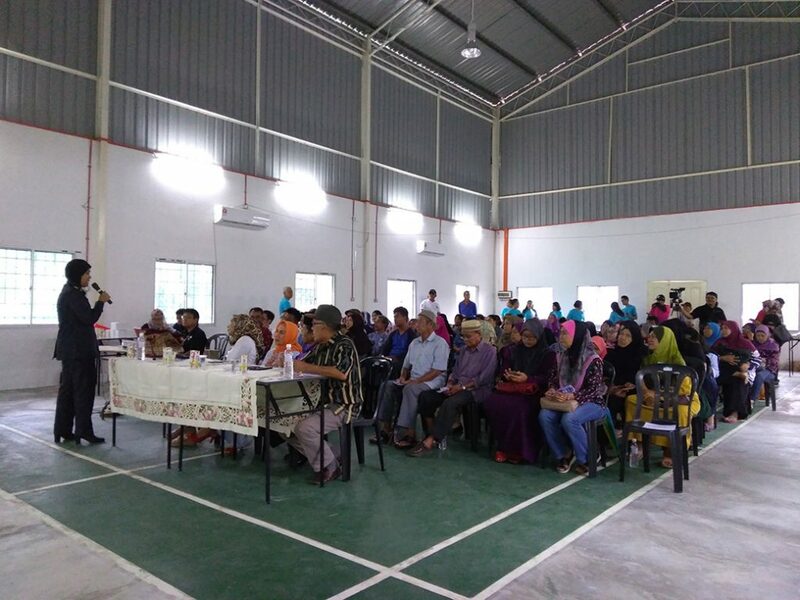 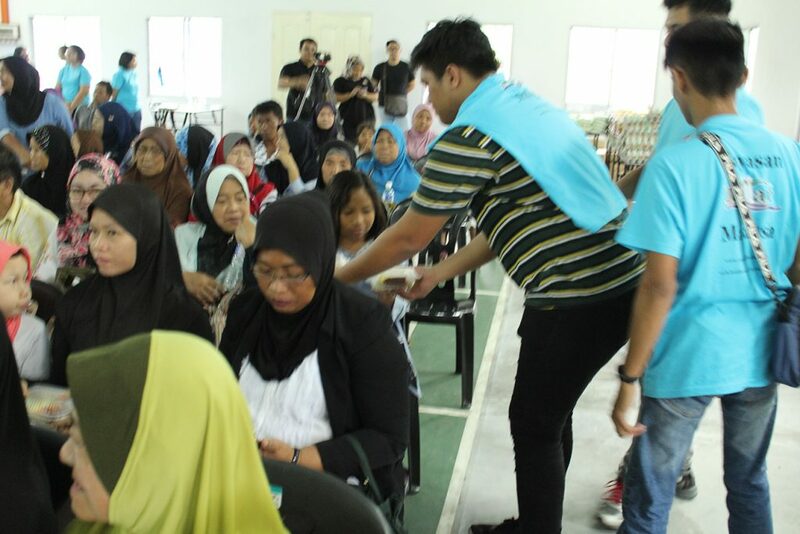 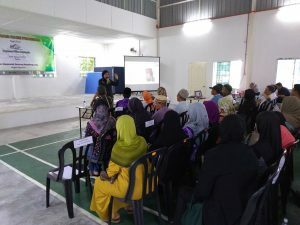 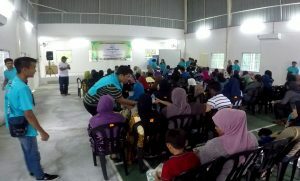 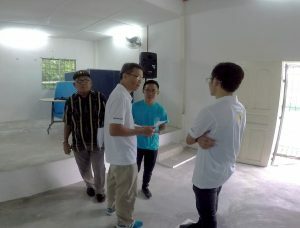 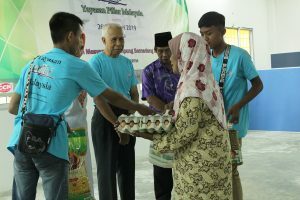 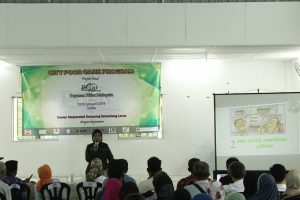 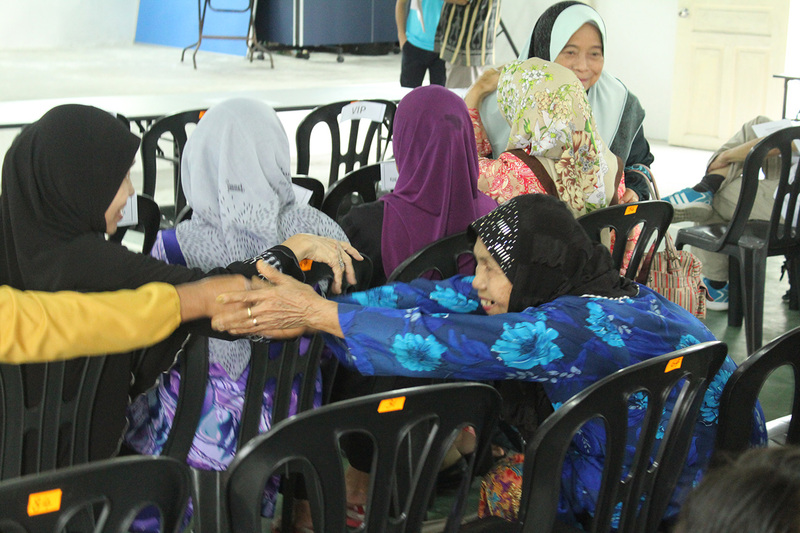 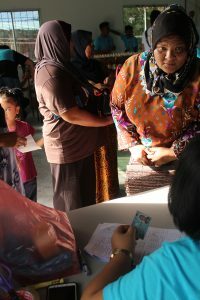 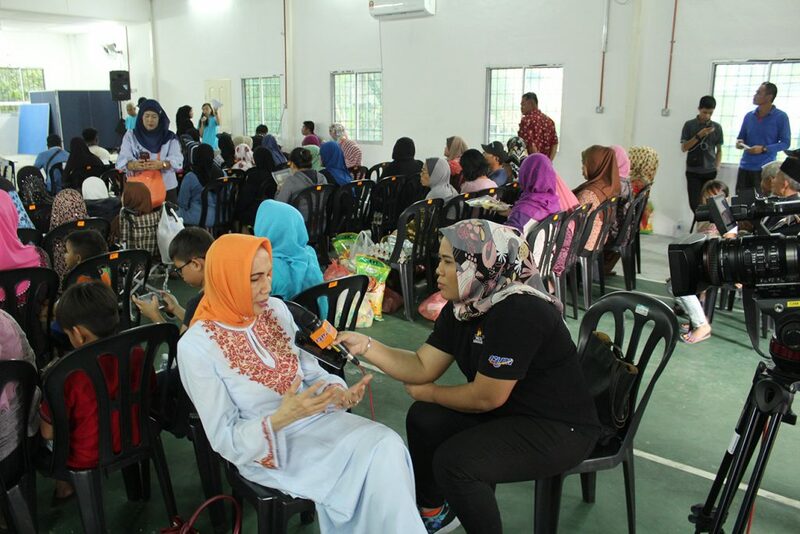 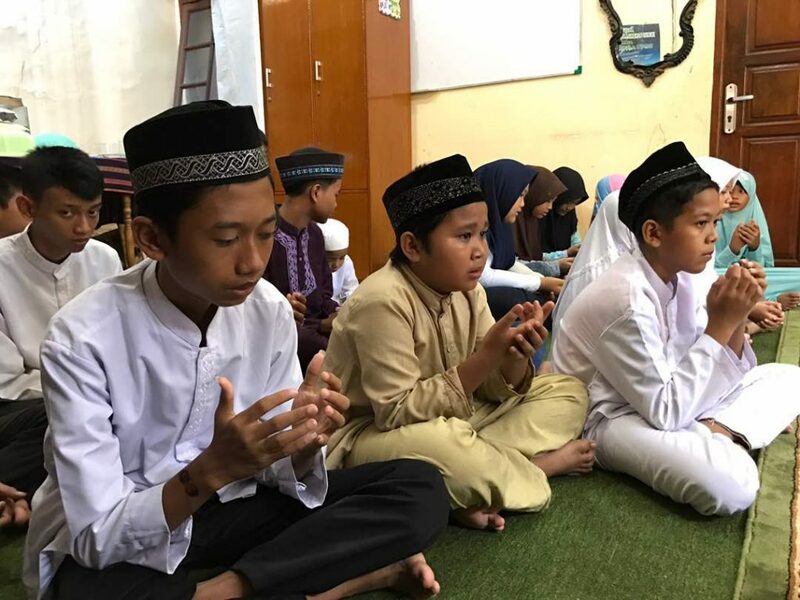 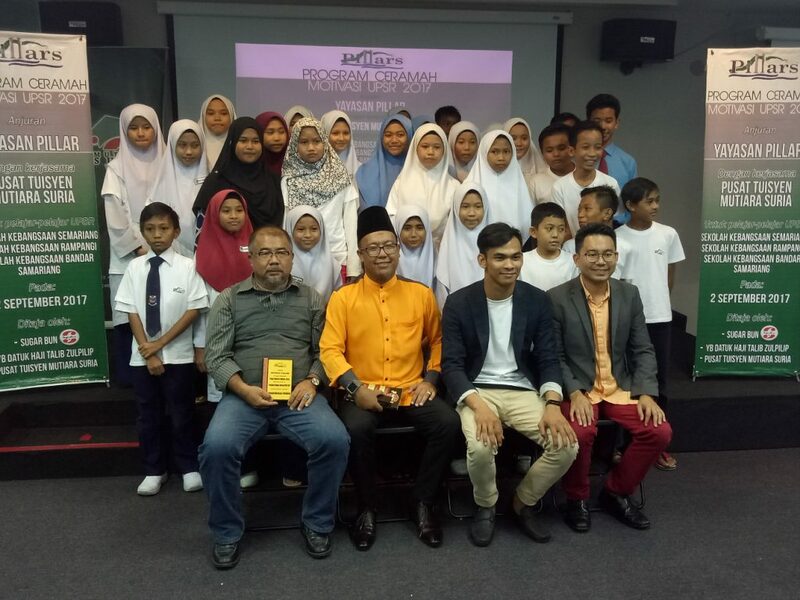 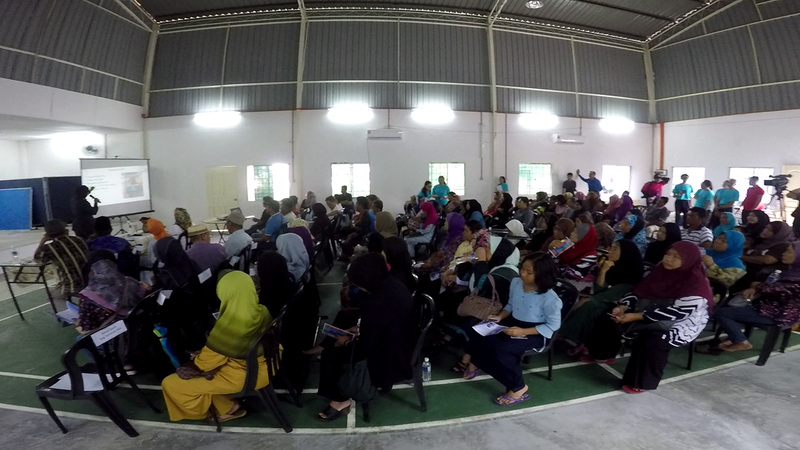 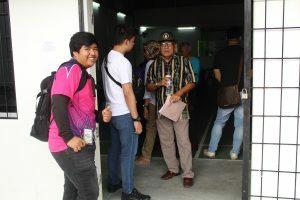 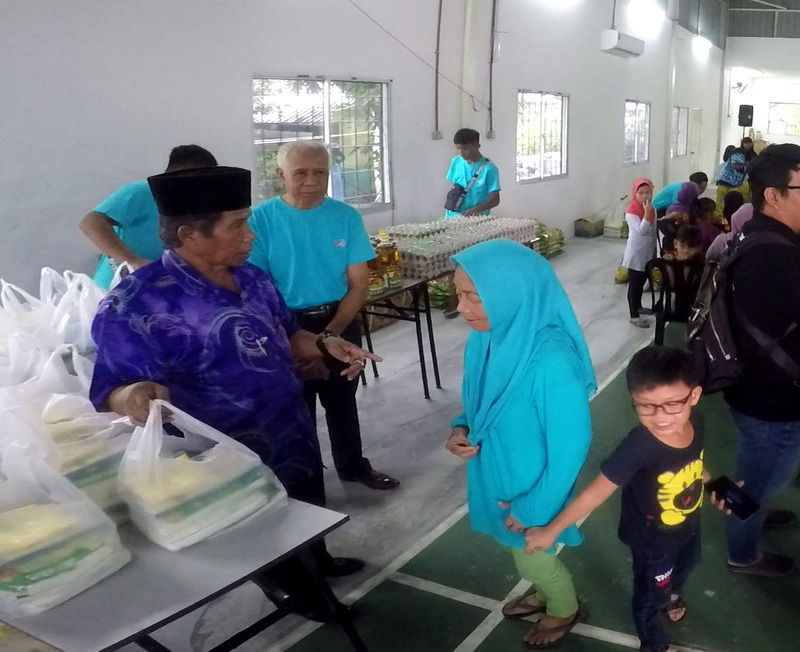 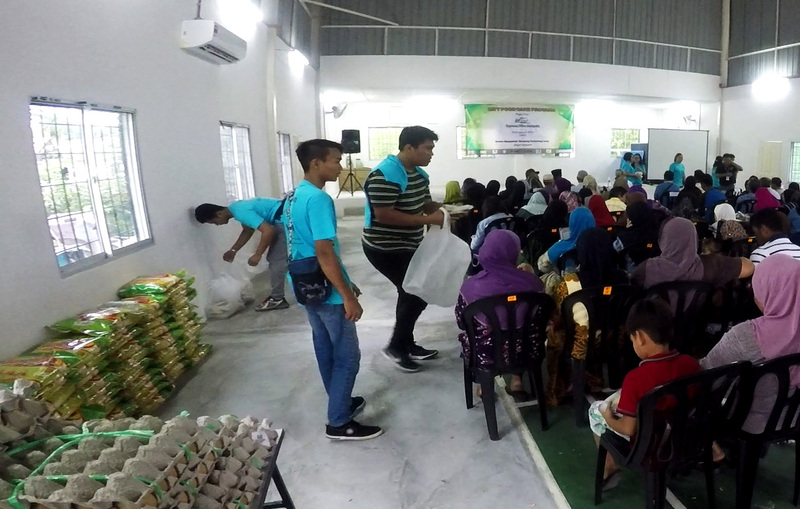 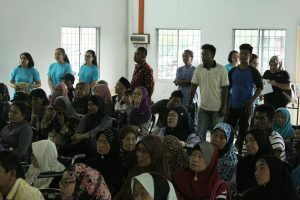 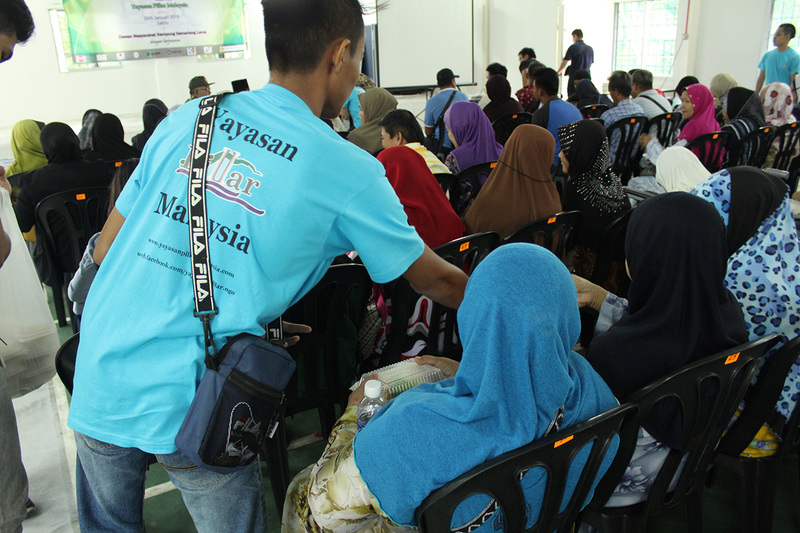 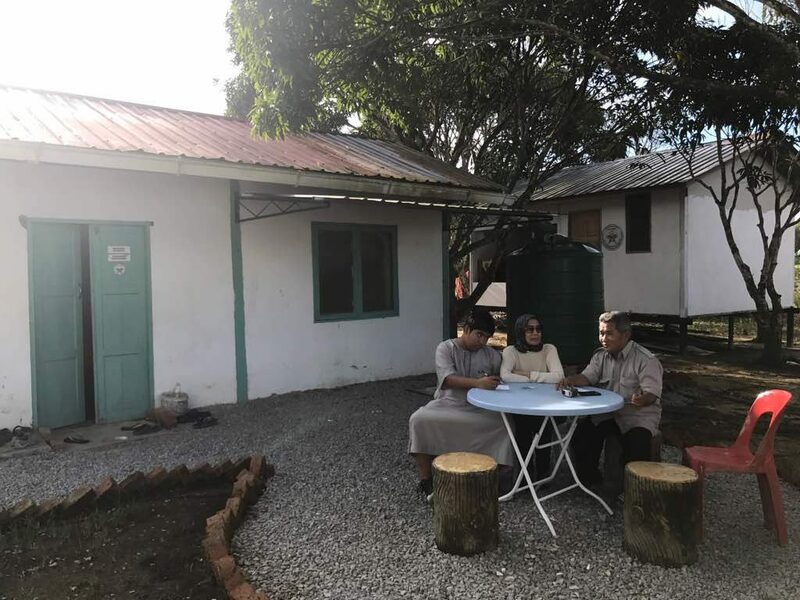 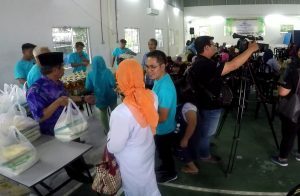 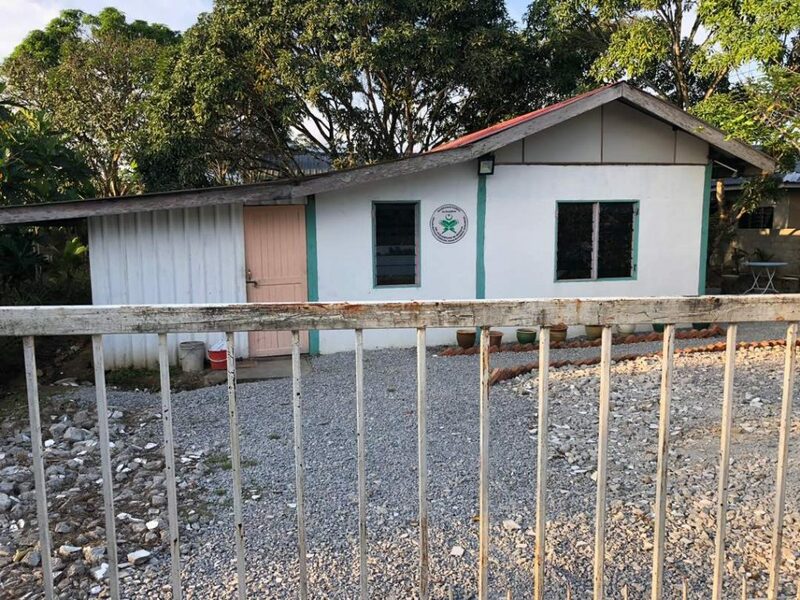 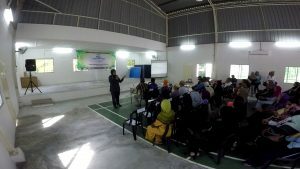 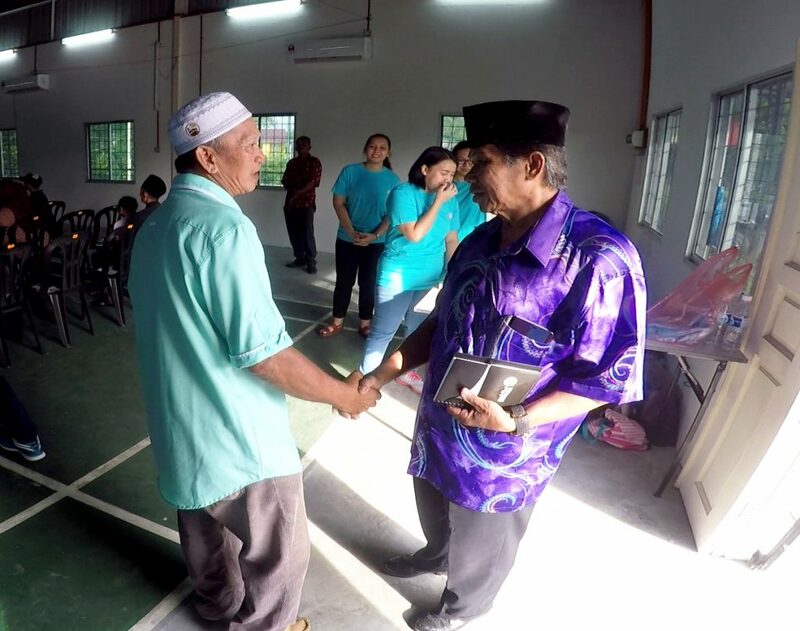 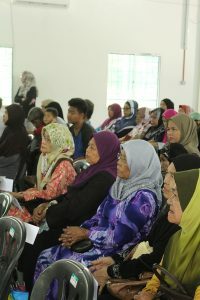 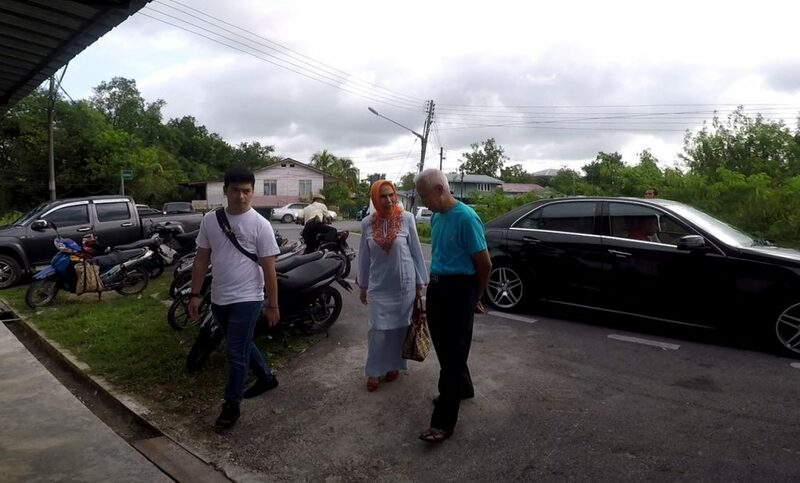 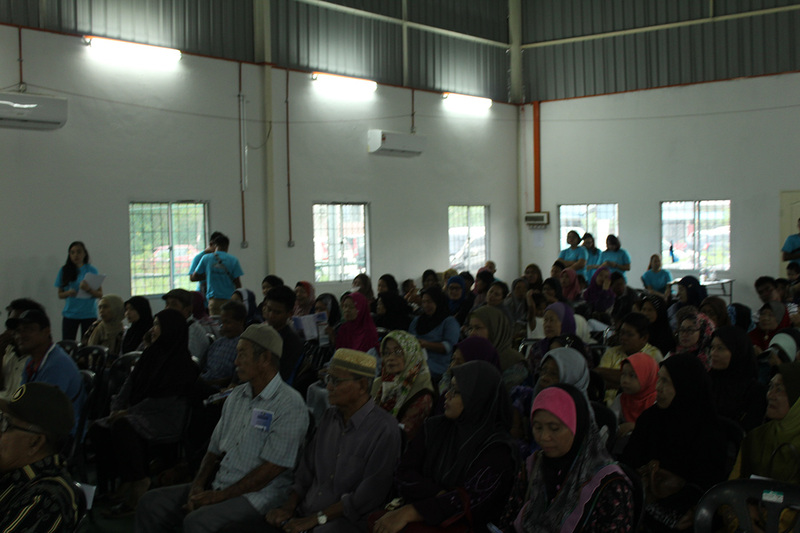 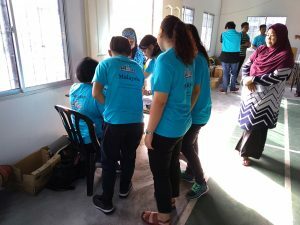 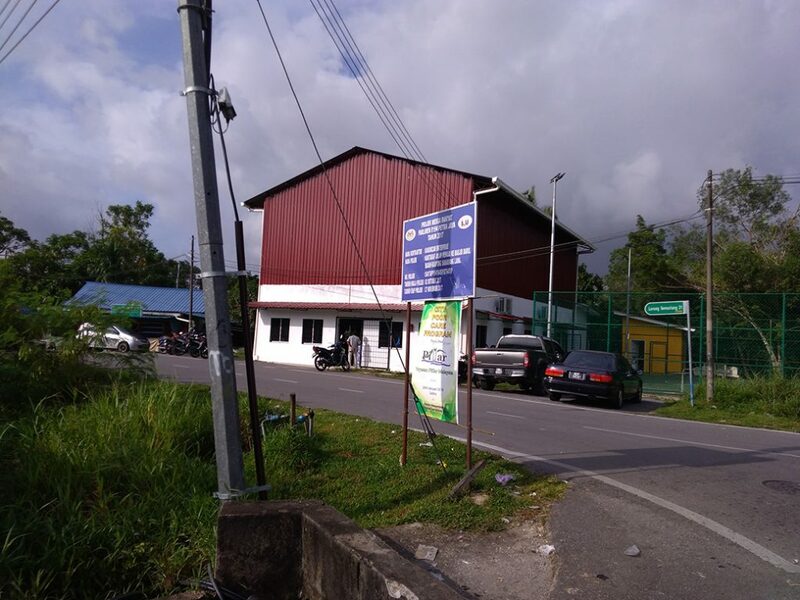 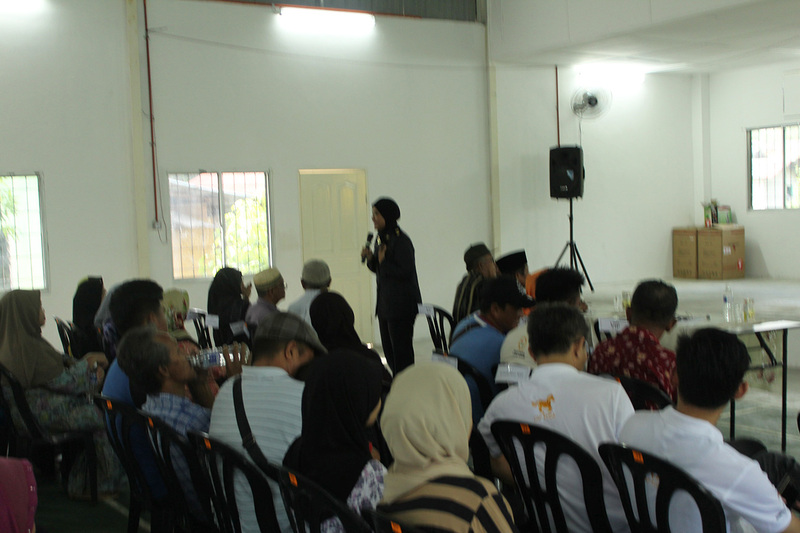 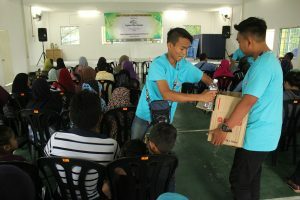 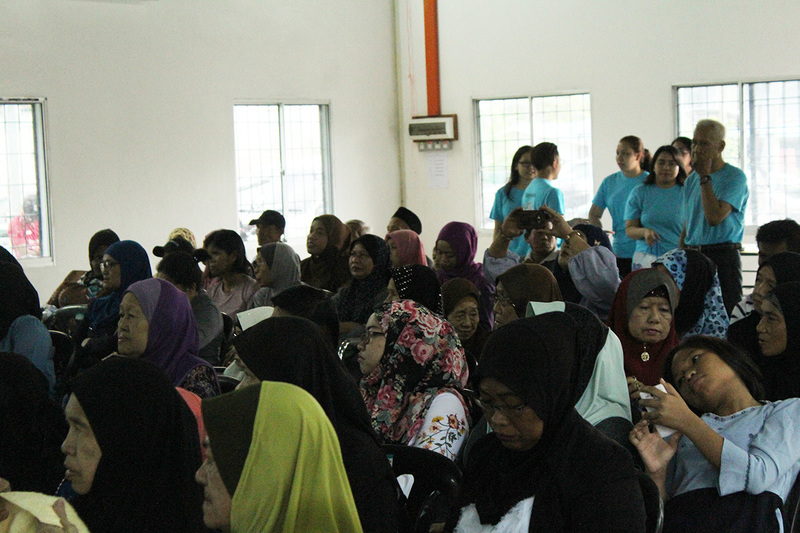 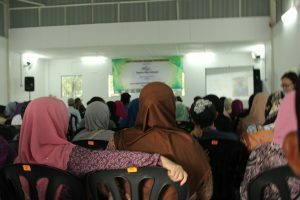 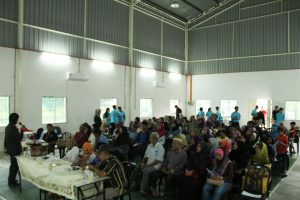 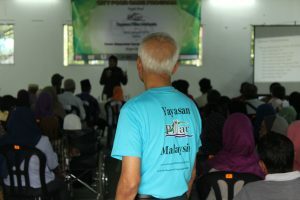 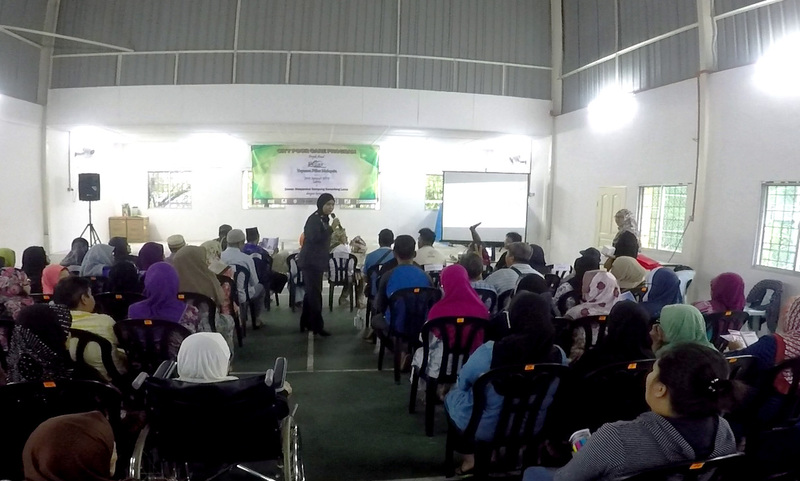 The selected poor families were invited to attend the program which took place at the venue Dewan Serbaguna Masyarakat Kampung Semariang Lama on 26th January 2019, Saturday. 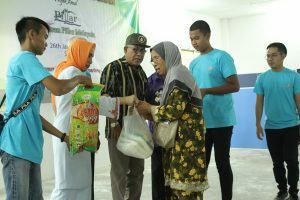 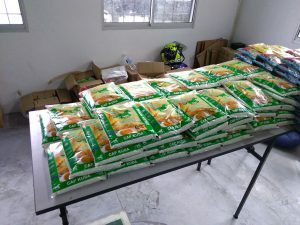 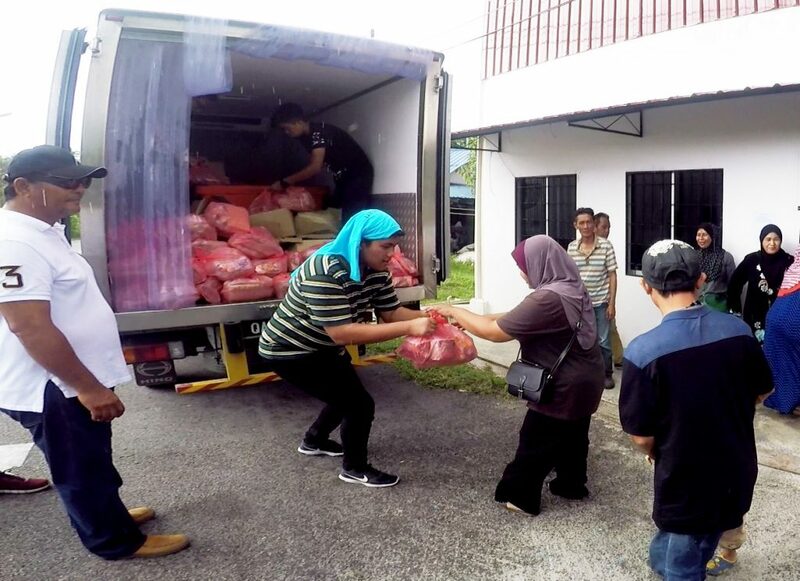 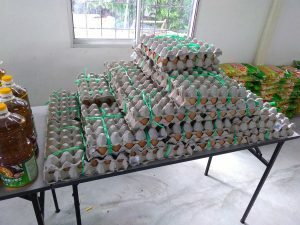 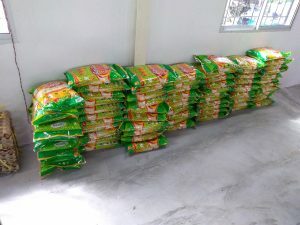 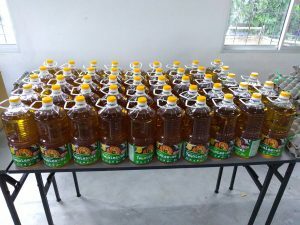 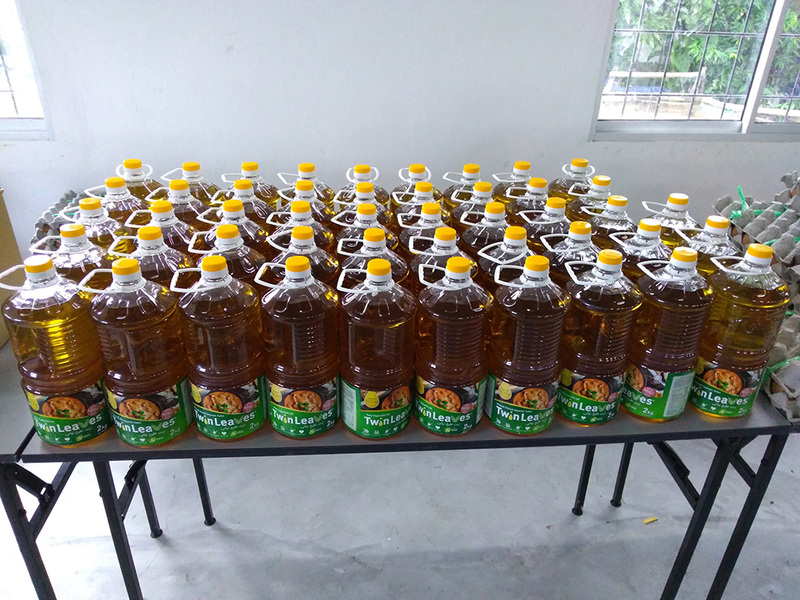 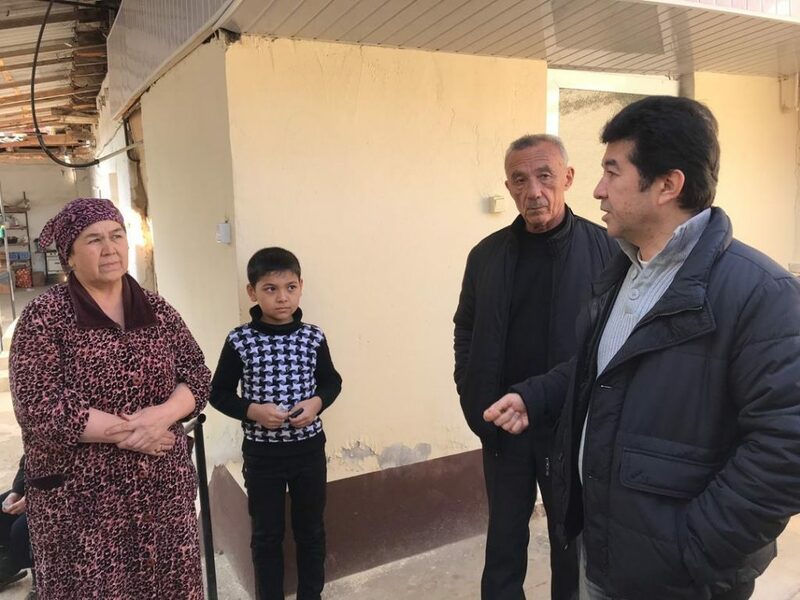 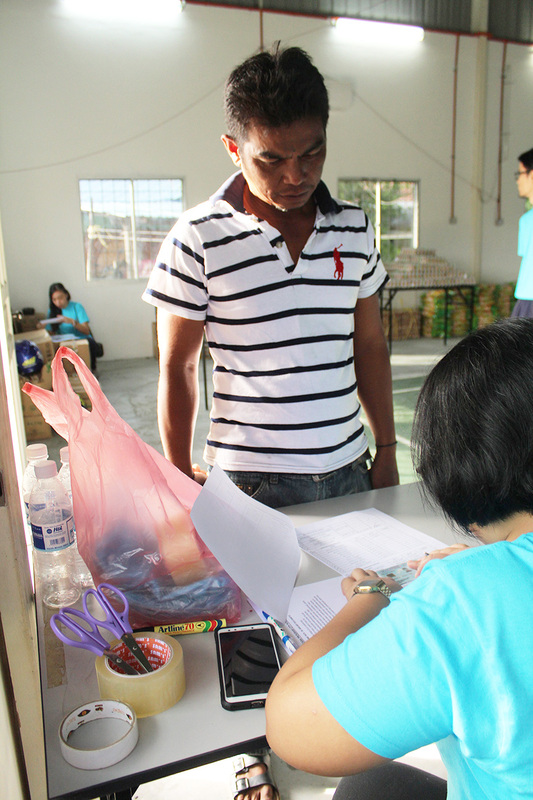 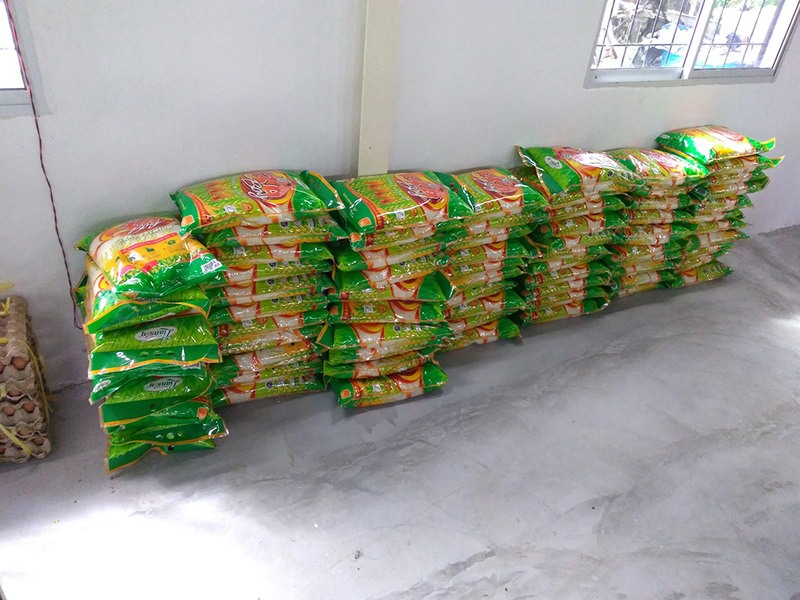 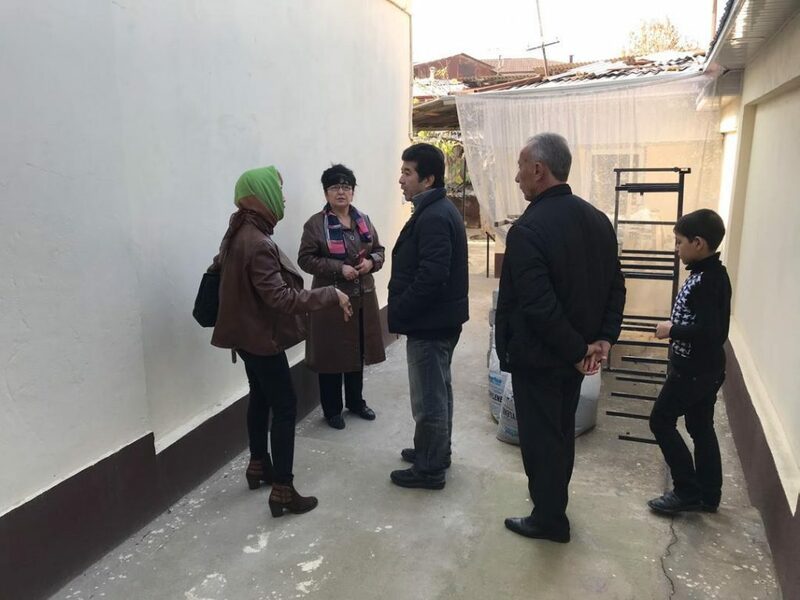 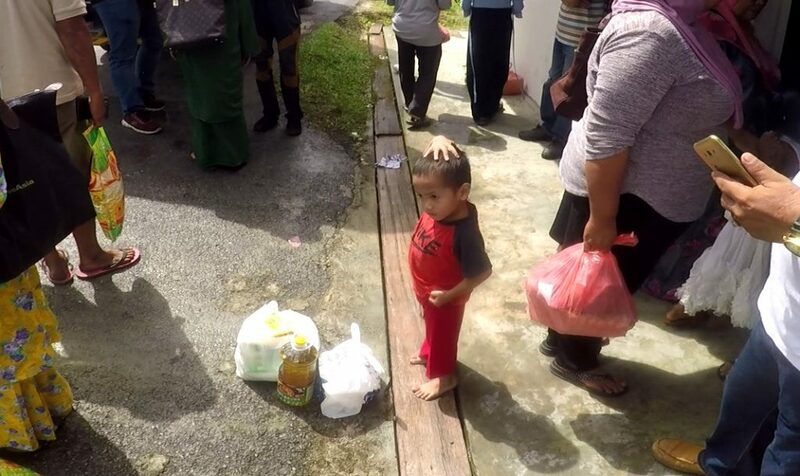 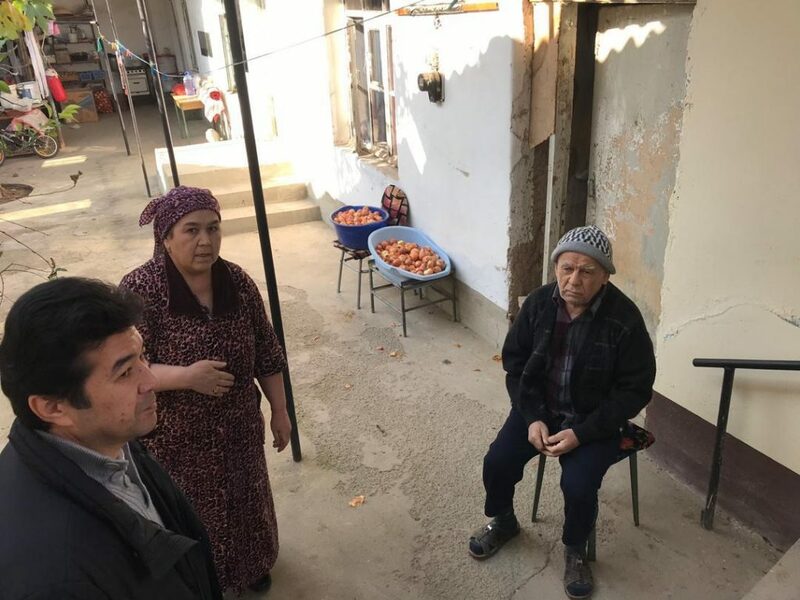 Foods and basic necessities such as beef, butter, cooking oil, crab sticks, eggs, fish balls, flour, rice, and sausage were being distributed to these poor families. 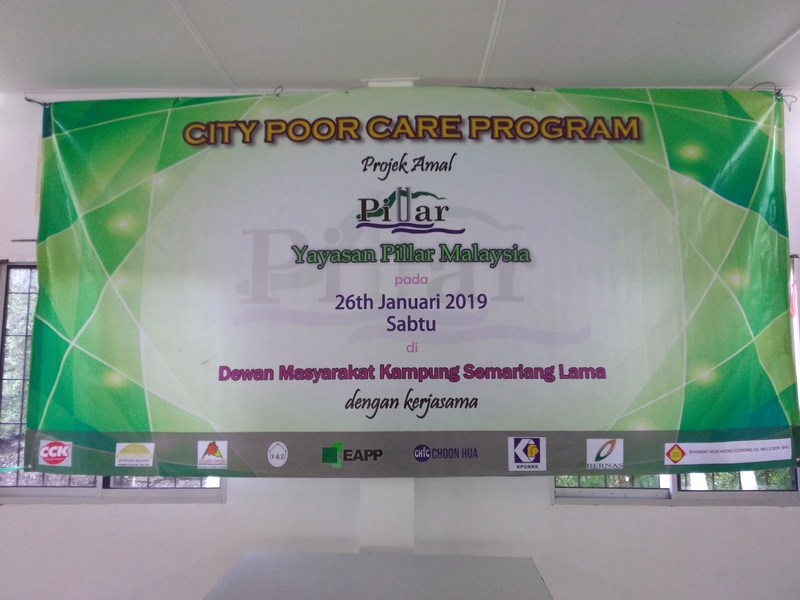 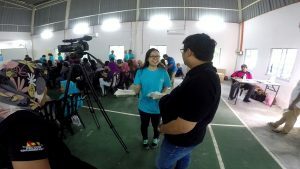 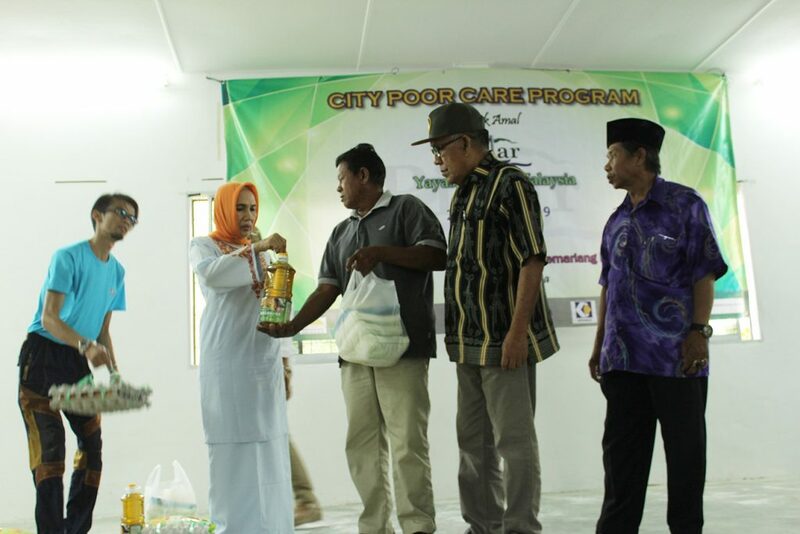 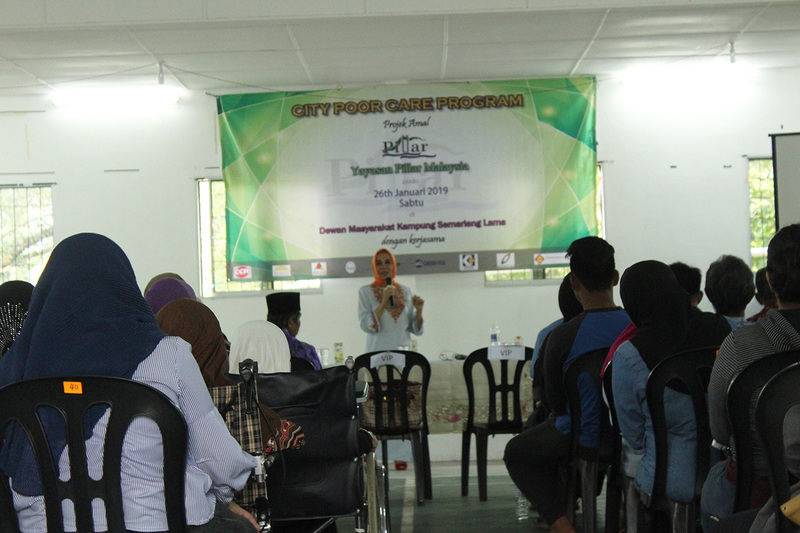 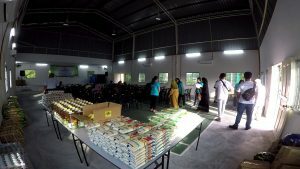 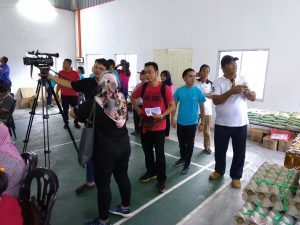 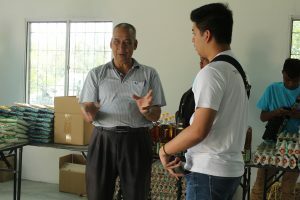 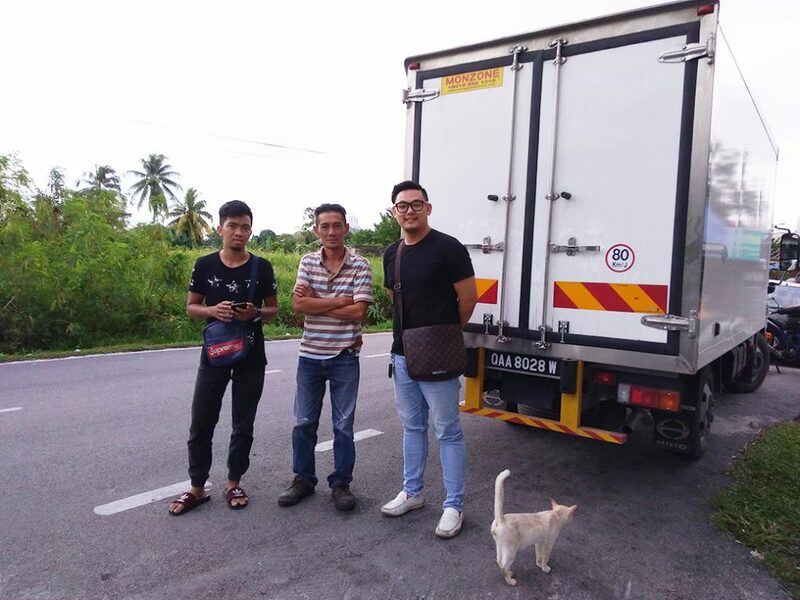 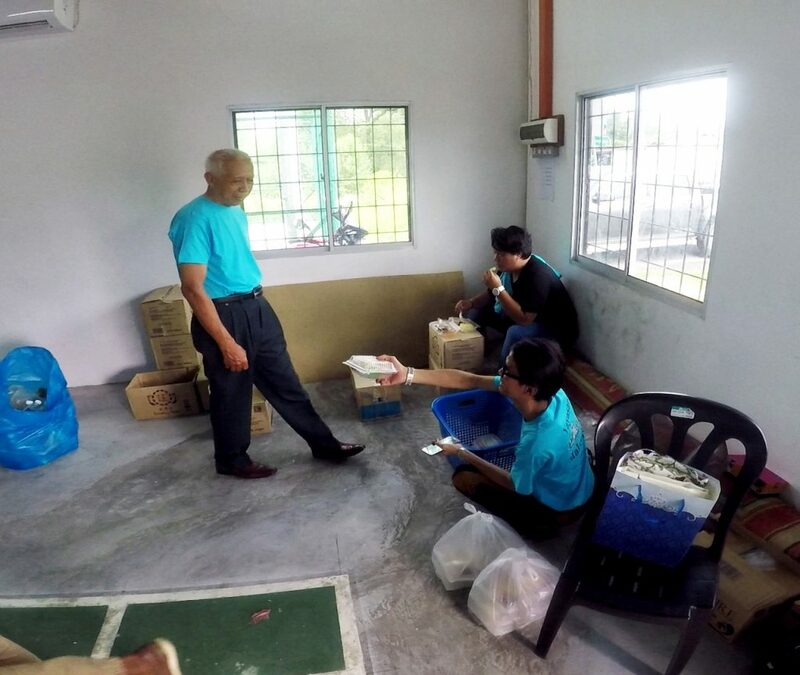 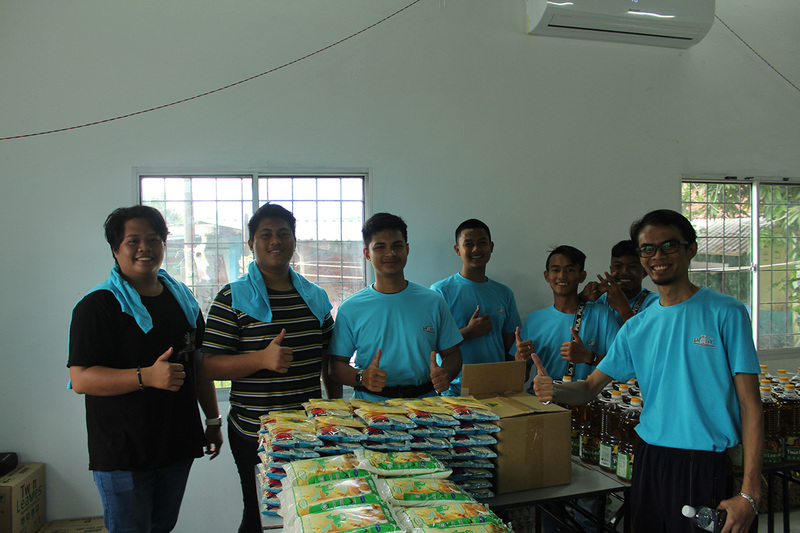 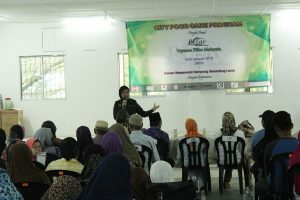 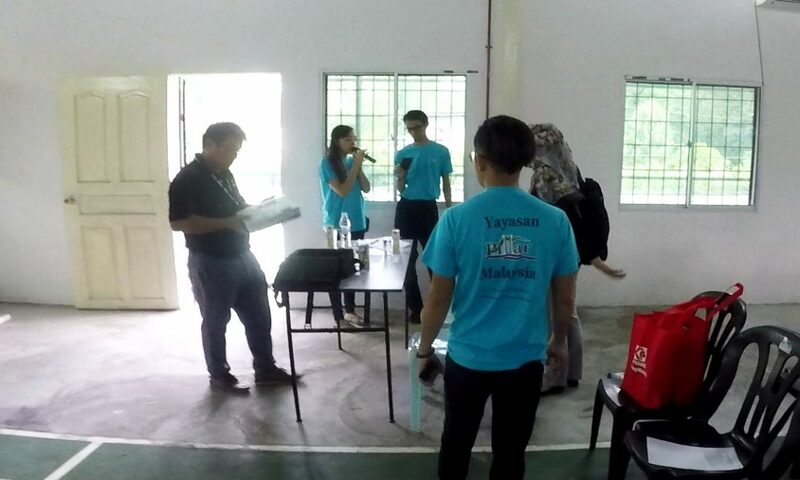 Yayasan Pillar would like to thank the sponsors who are generous enough to take part in the Food Bank project used for City Poor Care Program. 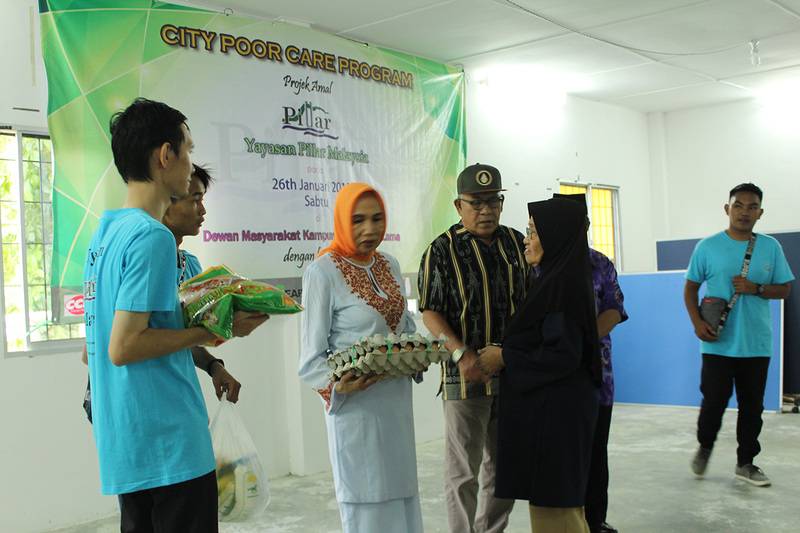 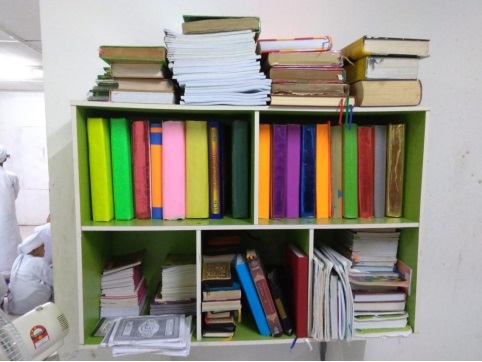 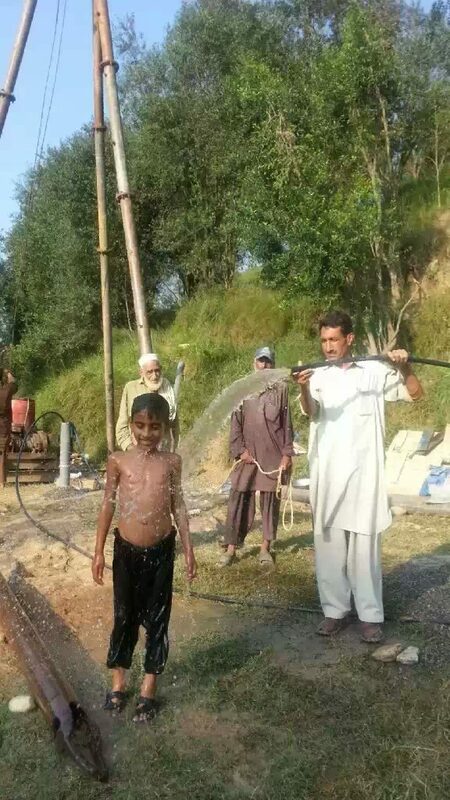 9. and anonymous individual who have contributed for the poor. 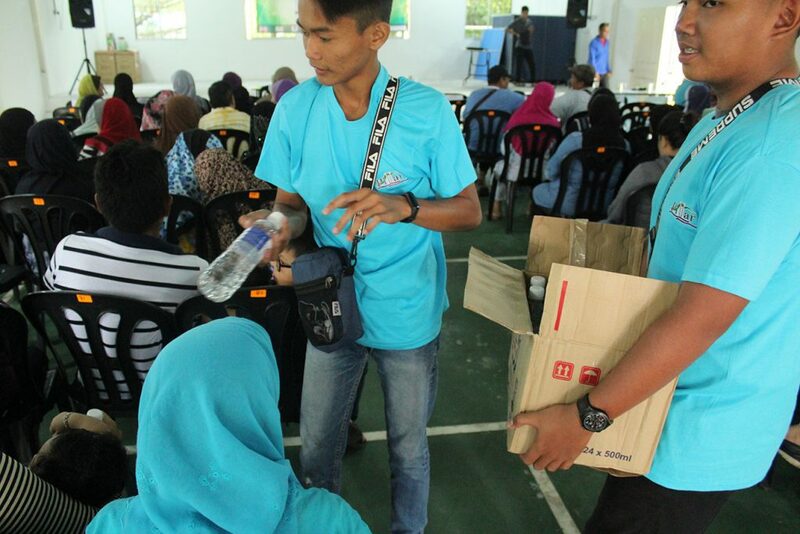 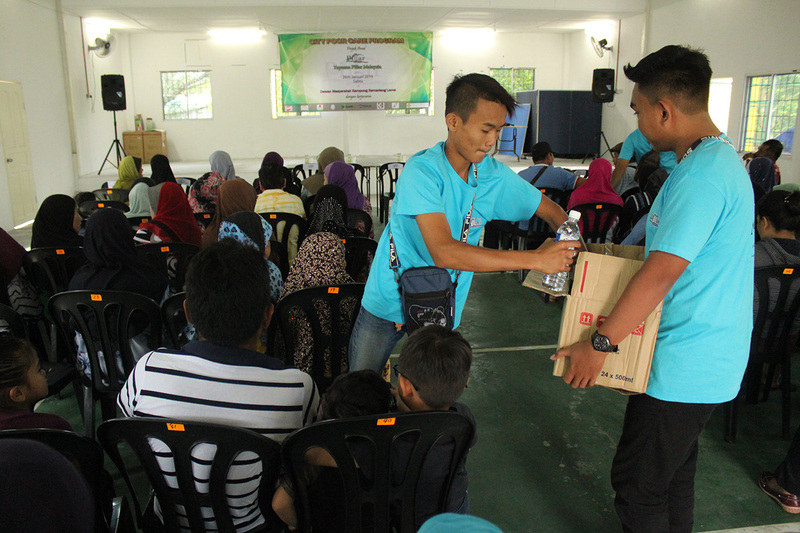 Pillar’s volunteers handing out bottles of mineral water to attendants. 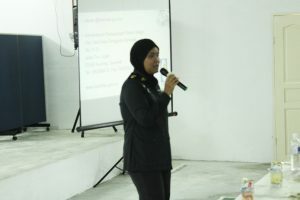 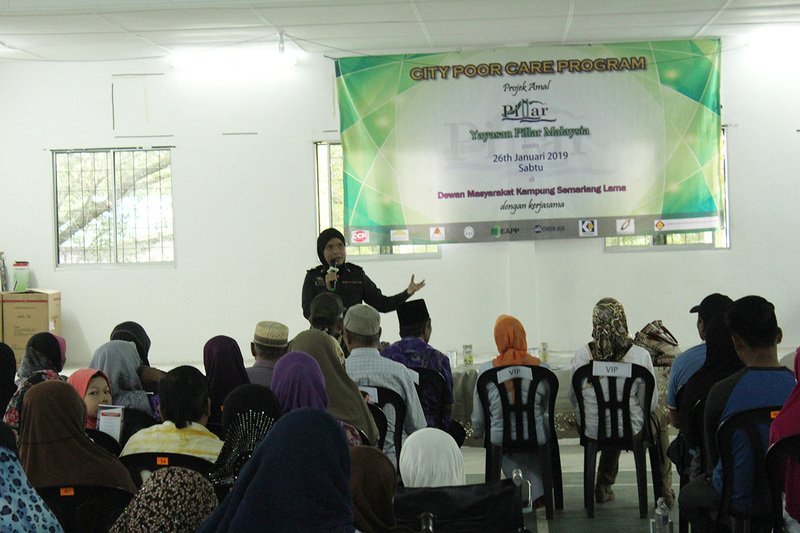 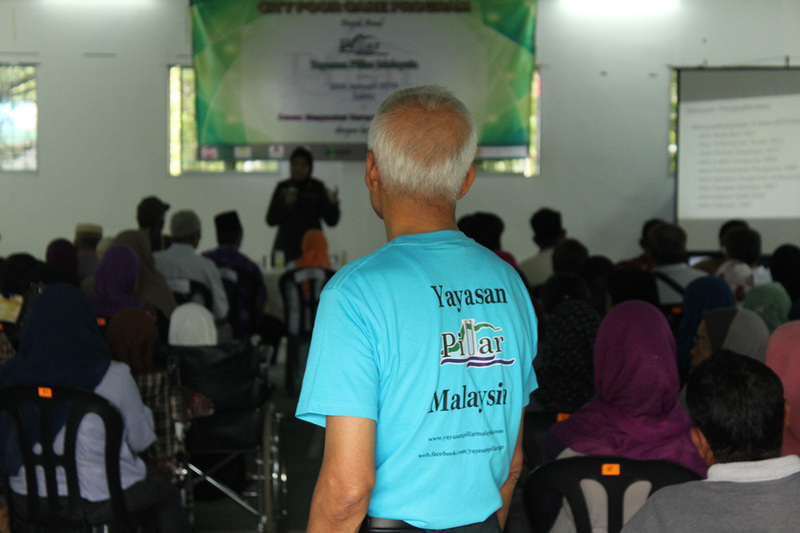 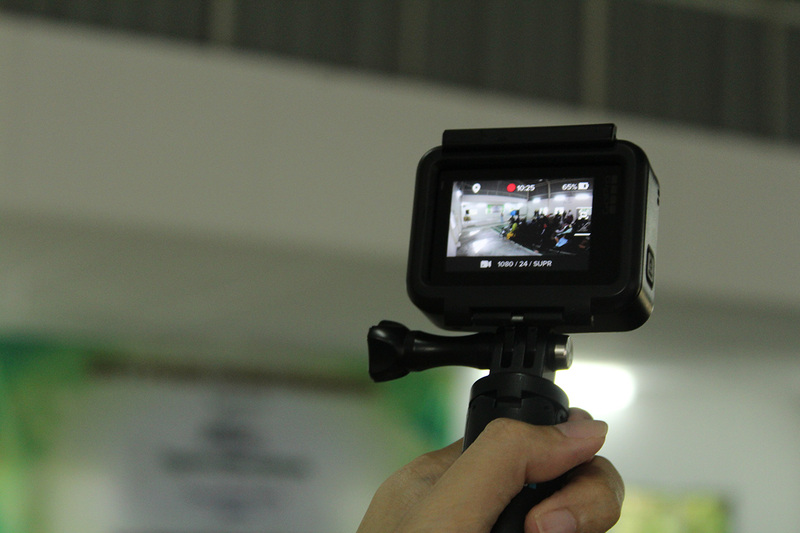 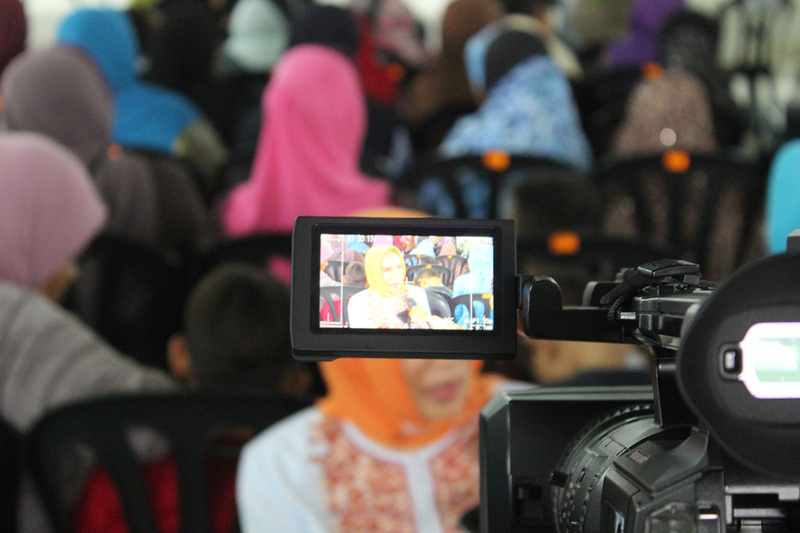 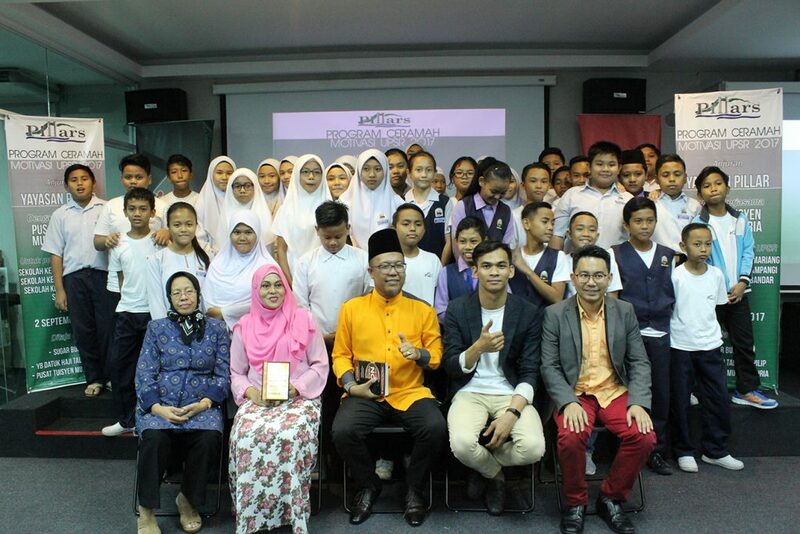 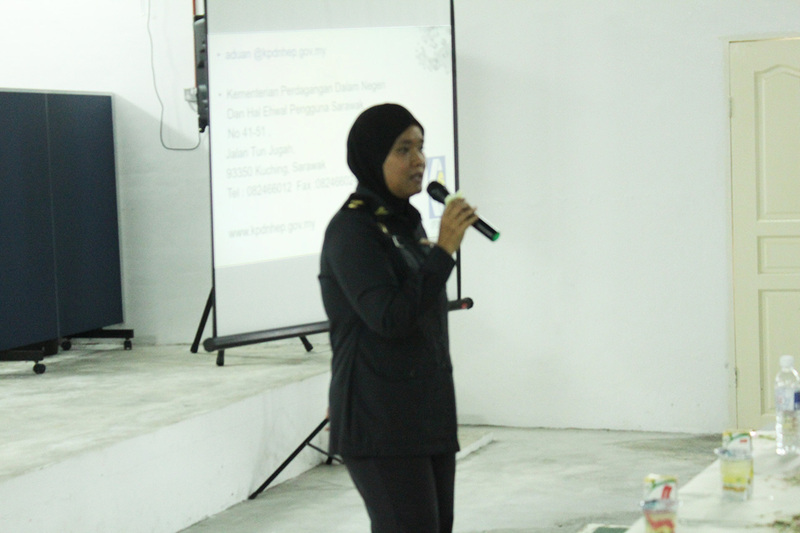 Speech given by the Pillar Foundation’s president, Dato’ Paduka Aisah. 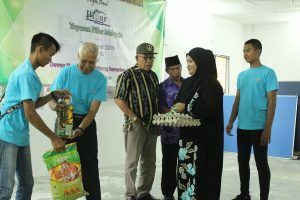 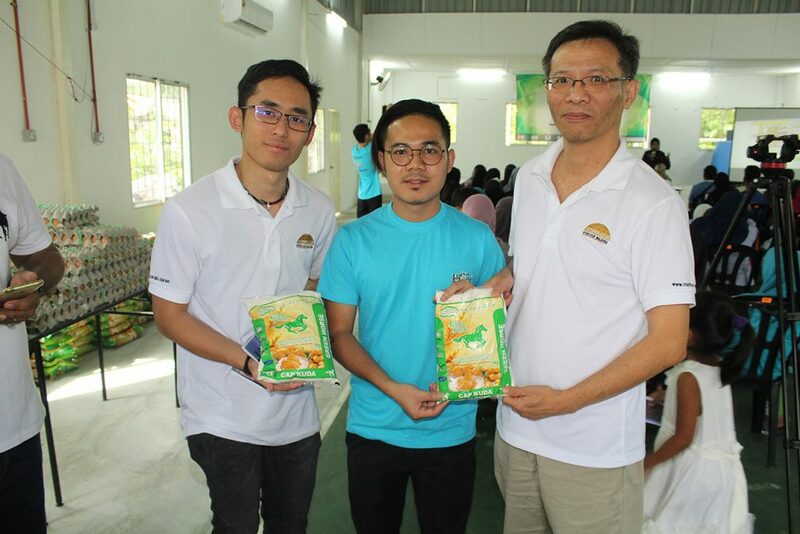 Pillar’s staff, together with representatives from Sarawak Flour Mill. 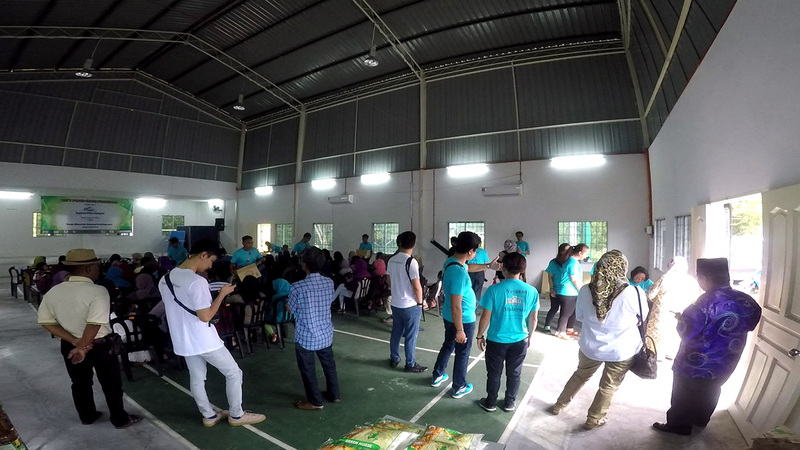 Handing out of breakfast by volunteers from Pillar. 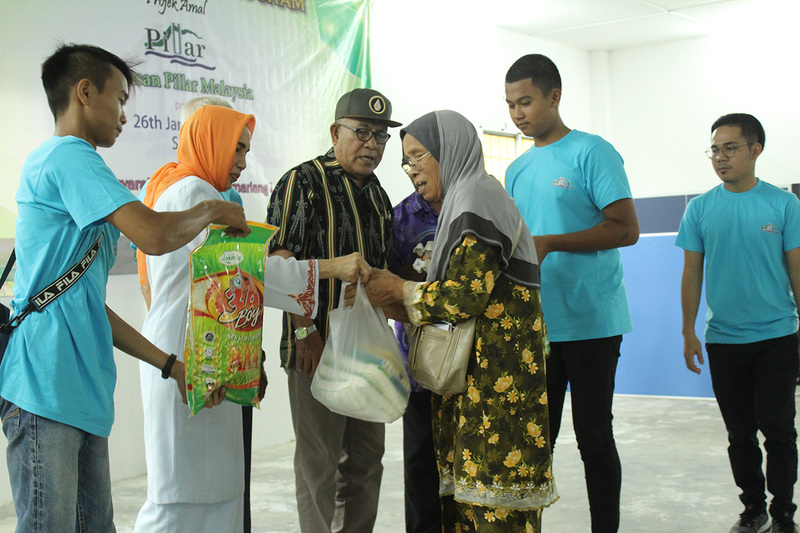 Attendants receiving the necessities from Pillar. 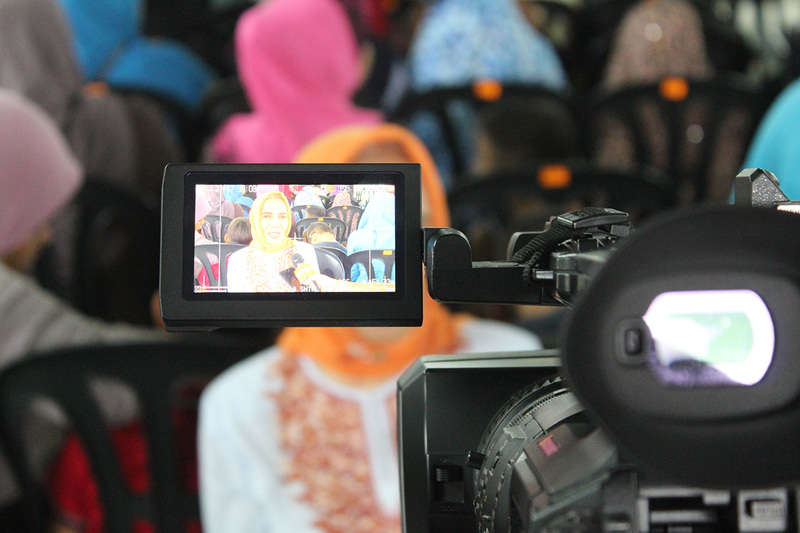 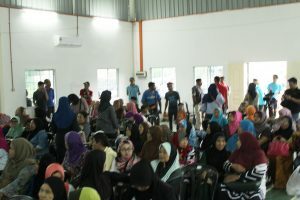 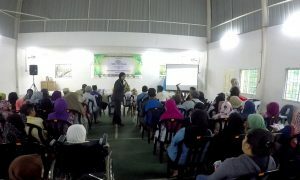 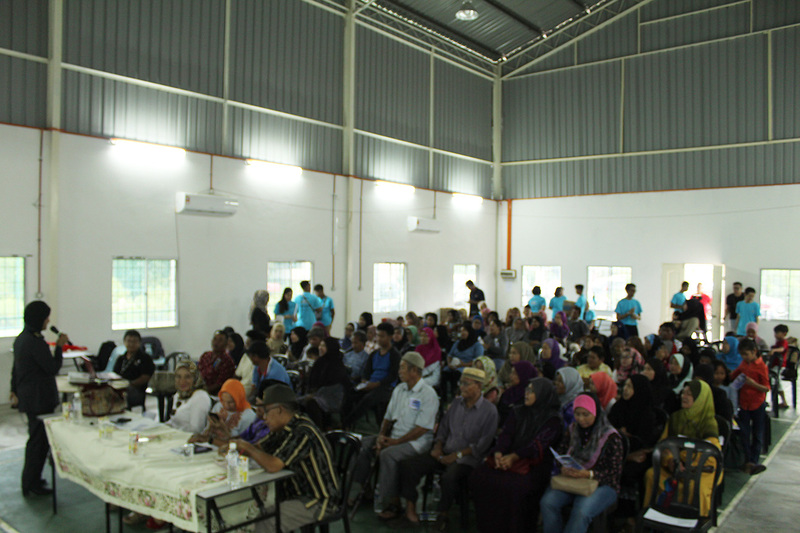 Audience listened to the speech delivered by KPDNHEP. 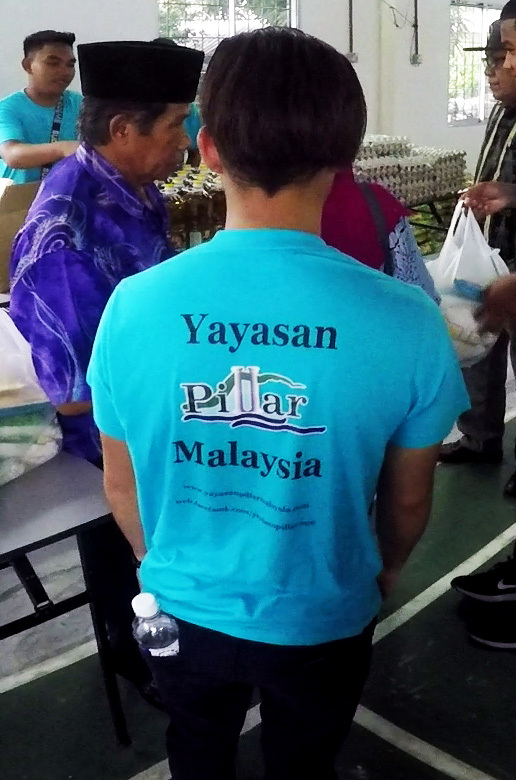 Pillar’s staff and volunteer helping out. 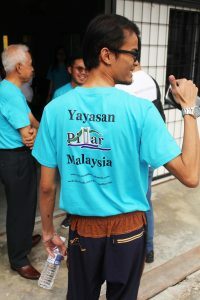 Arrival of the Pillar Foundation’s President. 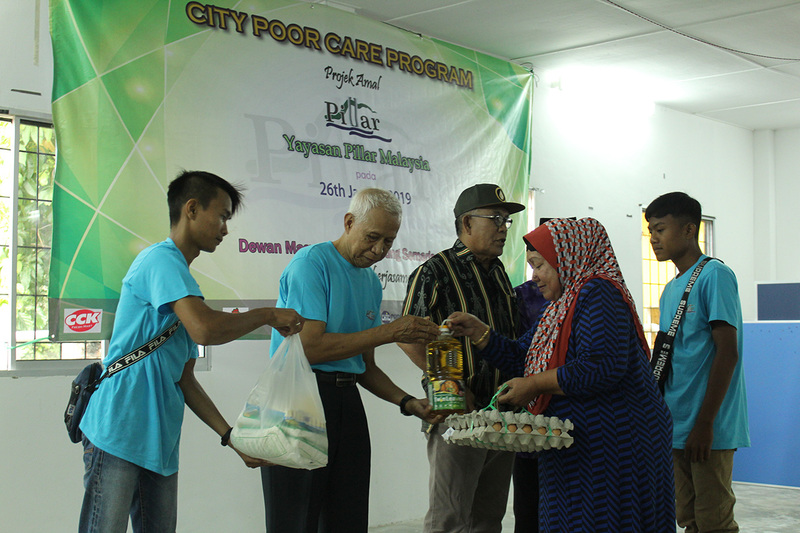 Pillar’s staff and sponsor handing out variety of packed food to the needy in the rain. 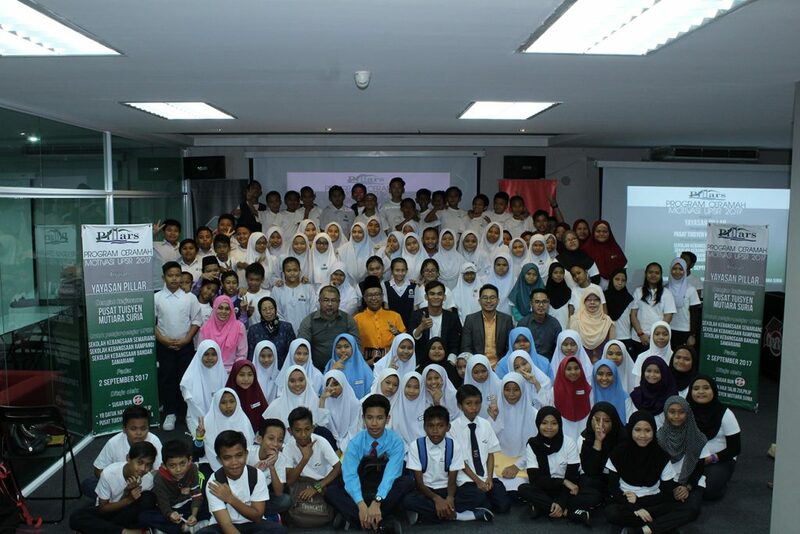 Hmm… What I am to do in the midst of these adults? Pillar’s staff having meal after work.